I’m giving away a free ﻿﻿Google Sheets template that automates most of the boring stuff for you. The majority of on-page SEO advice you see online centers on the strategic placement of exact match keywords within core page elements – title tag, headings, URL etc. You’ll notice that the exact search term “guest posting” is only showing for one of the top ranking pages. Google sees articles about “guest blogging sites” and “guide to guest blogging” as relevant topics to that search query. When you’re looking at on-site optimization don’t fall into the trap of ONLY focusing on exact match keywords. Look for partial match, synonyms and semantic keyword variations (more on this later). This will help boost keyword spread, and strengthen the overall topical relevance of your page. Without getting into the technical details, Hyper Text Transfer Protocol Secure (HTTPS) is the secure version of HTTP – protocol over which data is sent between a browser and your website). The ‘S’ at the end of HTTPS stands for ‘Secure’ because all information exchange between the browser and your site is encrypted using an SSL certificate. If the automation template kicks back a “mobile-unfriendly” warning make it a #1 priority to get it fixed. Check out your site code to ensure you’re using a single H1 tag on each post, and unintended text is not being automatically wrapped in heading tags. Click CTRL + F and search for “h1”. Make sure you only have one H1 tag on each page. 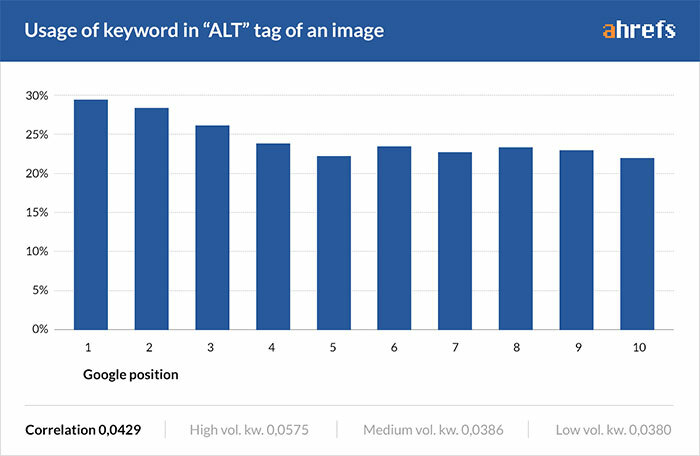 All metadata – alt text, file name, title – was stripped from the image and Google was still able to decipher (with almost 100% accuracy) the image contents. It might seem negligible, but don’t skip out on any chances to help search engines better understand the content on your page. Search engines need “food”, aka content to determine the relevancy of a page/post for a given query. Not text = no food. If it’s feasible, consider no-indexing the page if it has zero search volume. 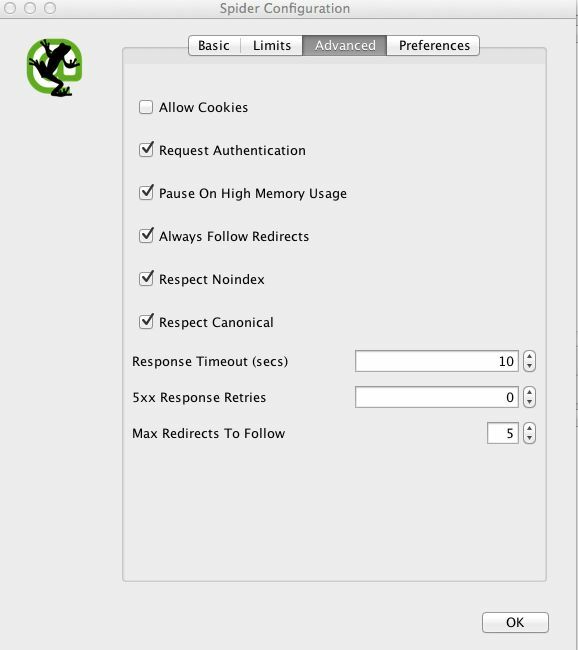 And here are the on-page items that require manual checks…. People don’t want to send traffic (or “link juice”) away from their site. If the answer is “yes”, and you are linking out to a relevant resource, do it! Google’s web crawlers travel around the web via links collecting data about each page, so it’s a good idea to regularly audit your external link profile to ensure you aren’t sending visitors (or bots) down a dead end street. If you have a small site, it’s possible to manually check each page for broken links using a free chrome extension like “Check My Links“. Once you’ve identified all the broken outbound links on your site, the next step is to fix them. I’m not telling you to page sculpt, but if you have some articles on the site that maybe don’t get a ton of traffic, but have a decent number of quality links pointing to them, it’s worth adding some internal links to strengthen the topical content silo and channel some authority into the new page/post. Search engines favor websites that allow them to identify and understand content. By creating silos – tightly themed groups of content connected by internal links – you can make it easier for search engines for sites to understand what your page or site is all about. “Siloing” content is a whole different topic on it’s own. Instead of tackling it in this post, here is a link to ﻿an article by Ryan Stewart over at Webris. It’s one of the clearest overviews I’ve read on the subject. A lot of people start posts with long winded intros that don’t mention the keyword or topic of the page until you’re a few hundred words into the page. Don’t wait to tell the search engines what the page is about. Include your target topic or keyword in the intro. TF-IDF (Term Frequency-Inverse Document Frequency) – a way to figure out how important a word is in a document based on how frequently it appears in it. While I recommend you read the full article, it basically highlights how a company was able to jump to #1 for the highly competitive search term “sales management” in just 3 months. 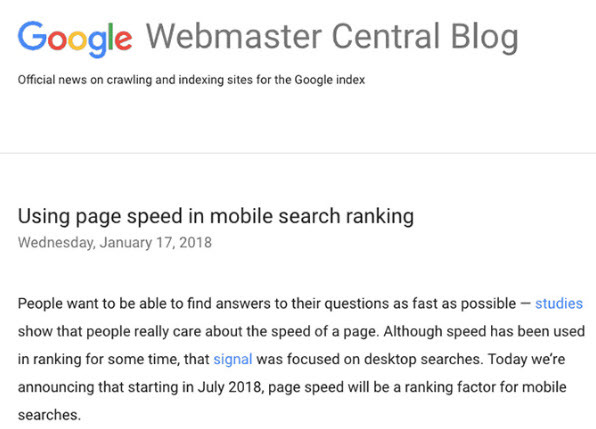 One of the key factors behind the ranking increase was reducing the number of exact match keywords, and replacing with semantic variations within key on-page elements – headings, body copy and internal anchors. 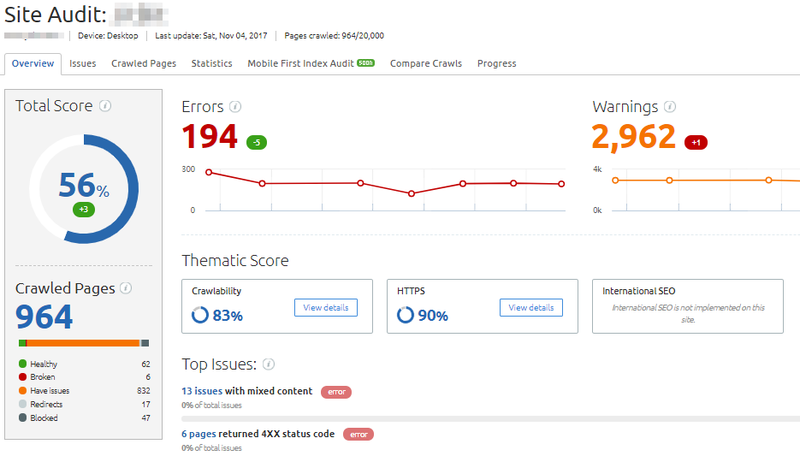 GTMetrix is another great tool for checking/optimizing pagespeed. If you’re trying to add schema markup and rich snippets to a WordPress website, check out this comprehensive guide. The topic of schema markup is a post on it’s own. But, here is a helpful resource from the folks at Moz. 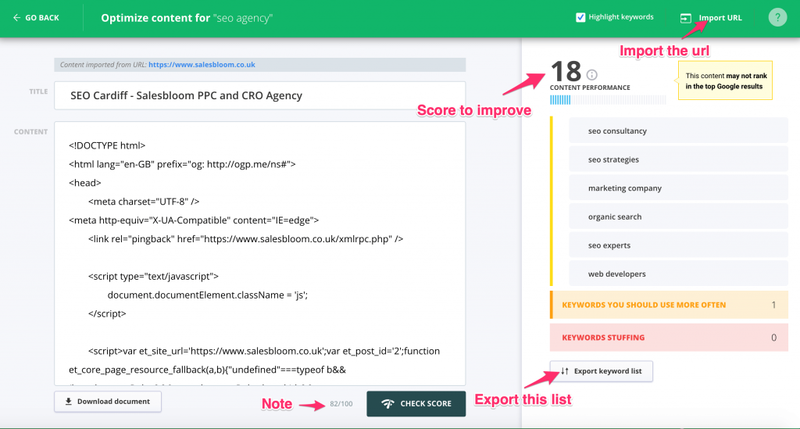 The post 20-Step On-Page SEO Checklist (with FREE Automation Template) appeared first on Robbie Richards. Does ‘crawl budget’ actually exist (even though Google says it doesn’t)? 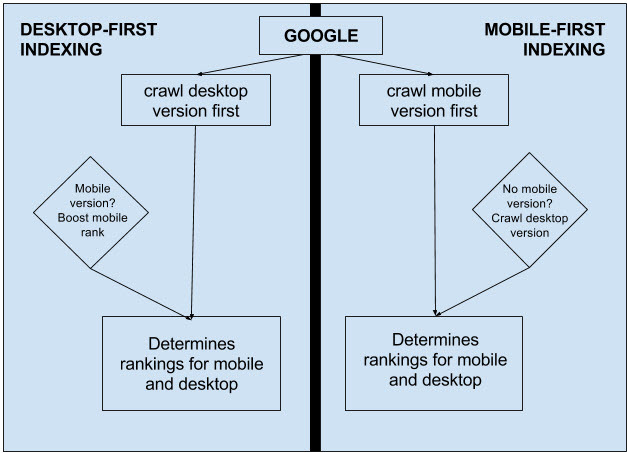 The post 102: Crawl Optimization & How To Do Crawl First SEO w/Aysun Akarsu appeared first on Evolving SEO. This is a TRUE & SUCCESSFUL story from Jim Miller – Founder of Salesbloom and one of our long time customers. Jim Miller is an e-commerce consultant, and founder of Salesbloom, who collaborates with world-renowned marketing gurus. Enjoy his story, written and documented by himself, and see how we hit the Google’s top SERP spots with no backlinks but with a good content optimization. Over a six to nine month period using the content assistant optimization tool, I have seen numerous pages swiftly develop and rank to the highest pages of Google. So getting traffic without building backlinks can be achieved with the right content strategy. This case study was composed to help share the success I had for my client. Why This Ought to Work For You? Working behind the scenes with some of the fastest developing agencies in marketing, you encounter conflicting strategies both internally and externally, which promise to improve your client’s rankings. I’m a firm believer in testing everything before foolishly trusting any information from whoever it may be, whether an influencer, agency or otherwise, so I work behind the scenes to know what actually works. 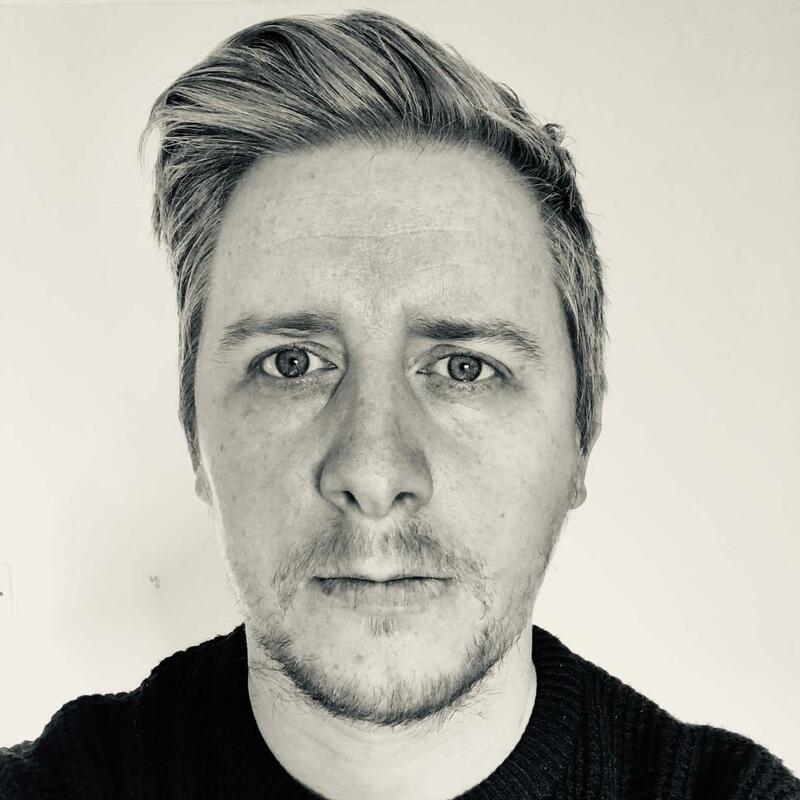 Years ago, I cracked an algorithm on eBay’s search engine with one of my first career positions, taking a small (and I do mean small) local footwear retailer from £10k online sales per month to £250k (£450,000 Christmas Peak). All in just under six months! Yes, it’s true – and this included outselling retail giants like ‘Barretts’, ‘Office’ and ‘Schuh’- and all without a penny of a marketing budget! I’ve never had the luxury of limitless budgets (and I prefer not to either as the constraints bring out the best in me). Having a typically micro-budget (maybe being a tad frugal as well), I’m always hesitant to pick something like ‘Marketmuse’ and put my house on the market for a taste! Being overworked (and a little disorganized if I’m honest at the time) necessitated a search for a timesaving tool for obtaining the broader metrics or overarching topics and keywords which help others rank more highly. It was then that I came across Cognitive’s Content Assistant tool – though at that time it took a little digging as the software was so new. 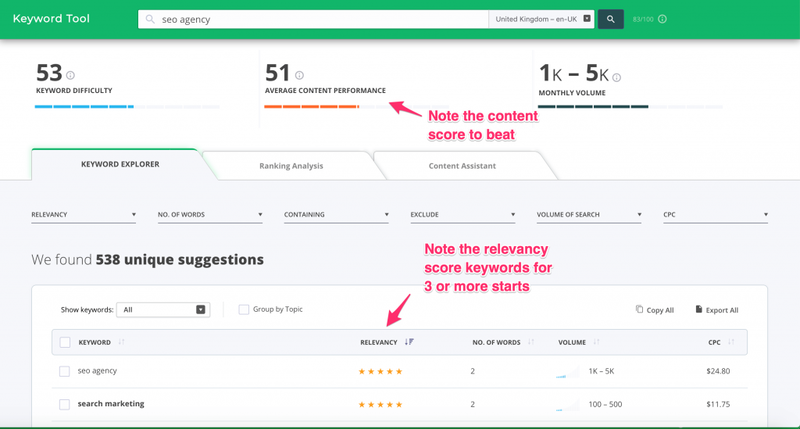 Cognitive’s content assistant tool allowed me the opportunity to see correlated topics and missing keywords that enable the content to shine through. I’m not a natural writer, I rely on others to help me edit my thoughts as many e-commerce consultants do. I might add that my thoughts are not always that easy to convey, so this tool was an immense help. I found the experience when using the Cognitive SEO to be intuitive in the main, simple to use and then ideal to communicate to others. Now at Salesbloom, we constantly develop existing content using Cognitive and produce new articles within the same content writing process. If you’ve never used Cognitive or unless you’re comfortable enough to drop into the Google Search console, it’s worth tracking your existing content’s keyword positions with Rank Tracker before you start. Find existing content you determine needs to be improved upon. Search for the main keyword with the ‘Cognitive Keyword Tool’. Optimize your content with ‘Content Assistant’. One of the best positions to start from is by finding pages with keywords or queries that currently rank outside the top five spots on Google. The ‘sweet spot’ is choosing keywords that sit in position 4 up to 30. As you can see, the blue line above did brilliantly! Pick your head term or the keyword you want to rank for and search with the keyword tool. On the example below, I chose “SEO agency” as my keyword phrase. Feel free to pick any keyword and page you like as I’ve had success with category pages on e-commerce websites, homepages and blog articles. It’s good to pull out the relevancy scores and consider any that score higher than 3 stars. Create your new content so it reads well, and without worrying about keyphrases initially. Once you’ve done that, copy the list of keywords that Cognitive suggests and work out a structure for your article based upon the 3-5 star terms. Never strive to be average at anything. Take a peek at the ranking analysis tab next to see how you are performing before you continue. The action to take for this example is: Write a 700-4000 word content piece that beats 69. Once you’ve gone into the Content Assistant, press the top right, ‘Import link’ if it’s an existing page (and yes, it can even score raw code). Otherwise, copy and paste your content into the relevant sections and hit ‘Check Score’. This site is new so typically it’s not going to score well yet, but if you export the list and scroll down on the right-hand side you now have keywords to export and use. You do have the option to amend the copy on the left-hand-side in real time, but each check of the score reduces your overall monthly allowance. I prefer to optimize outside in a Google document file so as to not squeeze keywords in when they are not needed, and to ensure your article or post still reads well. Repeat each process, and once you feel you’ve done a good job hopefully, you’ve beaten your competition’s score. If not, take a step back and see where your content can be improved. Login to Google Search Console and retrieve the revised URL. (I’m not convinced this speeds it up, but it’s a habit I now do every time). Results can be manipulated but these graphs illustrate this type of content is not reliant upon seasonal wins or easy pickings. That alone should encourage you to test this for yourself, based on my findings. The first piece of content below was devised for a SAAS company which has grown from zero to almost 7,000 clicks in a year. This, with no backlinks or promotion: Pure organic traffic gain. Some keywords can take longer to develop (as below) but site traffic appears when you produce good content via the ‘Content Assistant’. Here’s another blog article created and developing nicely below. Perfect for a revisit within a year turnaround. Here’s a comparison (below) for much older content. To reiterate, I’m not going for easy choices on keywords. To my mind, there aren’t many anyway, but the example above is recently optimized and shows positive progress in a short period. This is not a paid post. cognitiveSEO made no agreement with the author. This is Salesbloom’s and Jim’s success story, written and documented by himself. Please feel free to share your thoughts on this story with us. 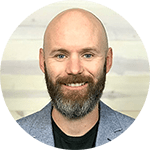 Jim Miller is an e-commerce consultant, and founder of Salesbloom, who collaborates with world-renowned marketing gurus such as Neil Patel and Eric Siu on internal projects. 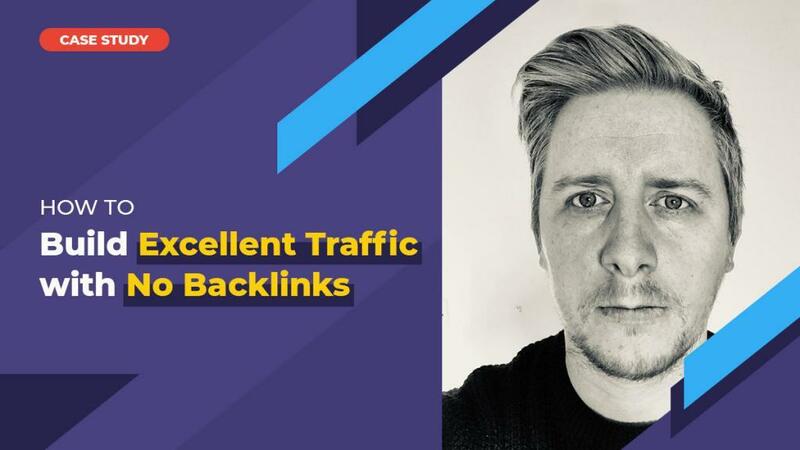 The post How Salesbloom Builds Excellent Traffic Without Backlinks appeared first on SEO Blog | cognitiveSEO Blog on SEO Tactics & Strategies. Note: My training course, The SEO Playbook, will re-open soon. Find out more about the course and see what current students are saying about it here. Traffic…the lifeblood of any online business. No traffic = ZERO sales. And ZERO sales = ZERO revenue. There’s always the option to pay for traffic (i.e. PPC). In some industries, the cost of PPC traffic is so high it’s damn near IMPOSSIBLE to turn a profit. Simple…this ISN’T the fluff and “because-I-said-so” BS that gets regurgitated time and time again with zero application or data to back it up. This is an actionable guide filled with step-by-step playbooks to help you increase organic traffic in both the short and long term. Anyone should be able to take away at least one strategy and implement it immediately in their business. I’ll be sharing case studies demonstrating how I’ve used the strategies outlined below to get real results for clients and personal projects across a number of different industries. To help make this post super actionable, and speed up the implementation on your end, I have included a downloadable toolset below. It contains several videos and templates for some of the strategies outlined in the post. Because this is a monster 10,000+ word guide, I have included a table of contents below. There are also jump links at the end of each section of the post that will bring you back up to the top of the post. Lots of low-quality pages = bad news for SEO. Because they weigh down the rest of your website. This causes (better) pages to underperform in the SERPs. In simple terms, pruning involves auditing and removing “dead weight” content from your site. I.e. any pages that have ZERO links, ZERO traffic and ZERO conversions (and/or contain irrelevant/tin content) are prime candidates to be deleted. These types of pages offer nothing of value to your site, and are actually weighing down other important assets by eating up precious crawl budget (meaning new or updated content gets crawled less often). Note: There are some outliers in the pruning process. For example, if you have an important resource on your site that gets little traffic or inbound links, but does get a lot of internal links, you might want to still keep it. At the start of 2017, my agency started working with one of the nation’s leading defamation attorneys. When he came to us he was getting around 3,500 organic visits and 130 new leads a month from organic traffic. Not too bad. But, he wanted to do better. He’s now getting over 20,000 organic visits and 400 leads a month. In fact, business is so good he has now started his own firm. Note: These results were achieved writing very little new content, and building only a handful of new backlinks. KEEP content that is relevant and getting a lot of traffic and conversions. IMPROVE content with the potential to either get more traffic (tactic #4), or more conversion from the existing traffic. MERGE content with backlinks that is competing for the same keywords as another higher ranking piece of content on the site. REMOVE content with no links, traffic or conversions. Pages appearing above the water line are top-performers (keep these! ), whereas those just below the water line have potential, but need some improvements – updated content, re-promotion, conversion optimization etc – to reach their “full potential”. Any pages deep down at the bottom of the iceberg are the ones you need to get rid of—they’re generally low-quality assets providing no added value, and weighing down the rest of your website. So, how do you identify which pages to keep, improve, merge or remove? Note: there are a few different ways you can pull the data for this audit. I am going to focus on one that allows you to scale the process relatively quickly, and avoid having to use a lot of paid tools. First, you need to check whether or not the pages/posts on your website have any inbound links. You can use URL Profiler and Ahrefs to quickly scale this part of the process. Hit “Import” and URL Profiler will automatically pull in every URL it finds in the sitemap. The free version of Screaming Frog will allow to crawl 500 URLs. But, you will have limited configuration options. You’ll be left with a list of the URLs that can be crawled and indexed by search spiders like Google Bot. Next, connect your Ahrefs account (instructions on doing so can be found here) to URL Profiler. Check the Ahrefs box (under URL level data), then hit “Run profiler”. This includes a lot of data, including the number of referring domains pointing to each page/post on your website. OK, so now you know how many inbound links (if any) are pointing to each page on your website—the next step is to check which of these pages actually have traffic/conversions in Google Analytics. Note: I recommended setting the date range for the report to the last 3 months. BONUS: This is a modified version of my content audit process. If you want to get access to exact processes, templates and tools we use at our agency, I’m including a “playbook” in my new course. You can find out more about it here. “Keyword cannibalization” occurs when two or more pages on your website are competing for the same keyword. Google will struggle to figure out which one of your pages actually deserves to rank, so they’ll often choose to rank neither of them. Links/shares/etc will be split between two or more pages, leading to less authority for each page (this is bad, as pages with higher authority tend to rank better). To put it simply, because your website is effectively competing with itself, you’re significantly diluting your chances of ranking at all! 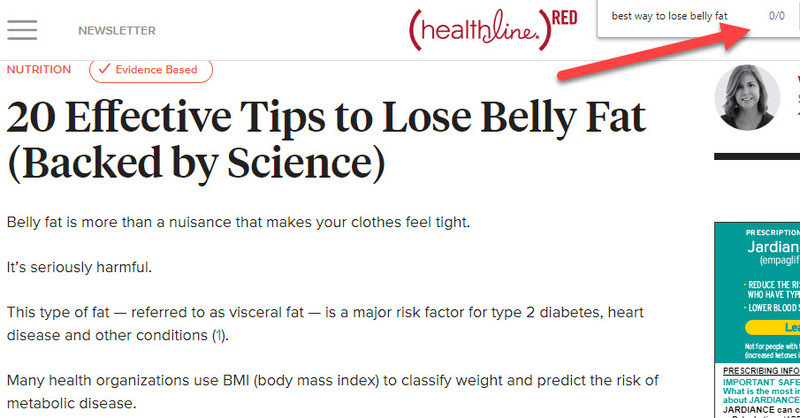 Keyword cannibalization should, therefore, be avoided at all costs! This process captures the “MERGE” aspect of the content audit covered above in greater detail. 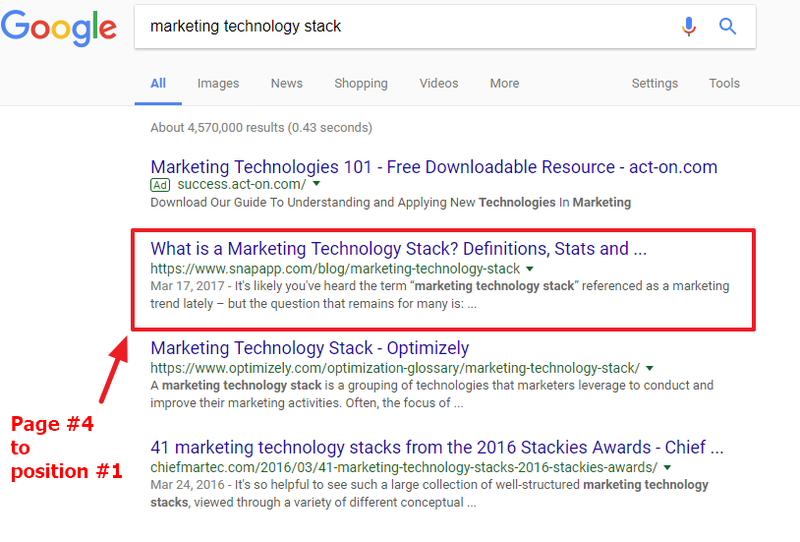 One of my clients had an article targeting the search term “marketing technology stack” that suddenly fell from position #4 in Google, to page #4. At first, the client thought it might have been some kind of page-level algorithmic penalty. After running the process outline below we found 5 different articles competing for the same keyword. Each competing article had links pointing to it. So, instead of spreading the link equity across 5 different pages we took all unique content from the lower ranking pages and merged it into the canonical (highest ranking version), and then 301 redirected all the other posts into it to consolidate the link equity. The page became a much more in-depth authoritative resource on the subject, and got added authority from the links that were 301’d from the other articles. This is without writing any new content or building any new links. Next, copy/paste all the exported data into the sheet named “1. SEMRush Export” in this Google Sheet. Finally, navigate to the “DONE” tab and it will show you all keyword cannibalization issues on your website. If the competing page offers nothing of unique value, delete it. If the deleted page has links pointing towards it (check this in Ahrefs), add a 301 redirect to the competing resource, otherwise just let it 404. Keyword research only needs to be done when you’re starting a new website, right!? Improving rankings for keywords you’re already ranking for is the quickest and easiest way to get a TON more traffic to your website. It went from position #8 to #2 overnight, which is why the traffic shot up like a rocket! And this was after optimizing ONE page…if you were to do this across your entire website, traffic would go through the roof! This will show you EVERY keyword you’re ranking for, along with the ranking position. Note: Set the search volume threshold to something that makes sense for your industry. i.e. You may need to lower it a bit more to find more opportunities. Export the results to a .csv, then copy/paste the data into the sheet labelled “1. SEMRush Export” in this Google Sheet. All of these keywords are low-hanging opportunities, but the rows that are the most green are the opportunities that are likely to yield the BEST results with the LEAST amount of effort. 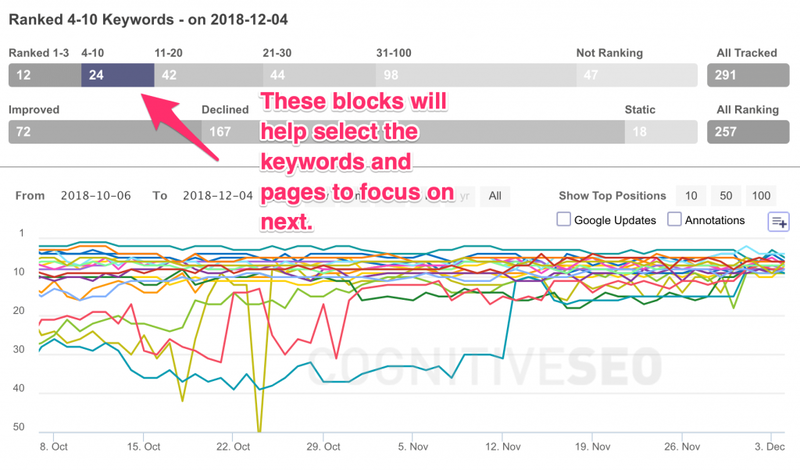 After you’ve found keywords that have (1) search volume, (2) existing rankings, and (3) can be realistically ranked for in the next 60-90 days, you need to prioritize. When I do this final part of the process, I always rely on a bottom-up view of the funnel. Since this post is about increasing organic traffic, you bet I’m going to add a few internal links from this post and this post. Note: I have a full post dedicated to this strategy here. But, if you want to go deeper into specific keyword research and relaunch tactics I use for clients, check out my SEO training course here. An affiliate website like Wirecutter will prioritize investigational intent keywords searched when people are evaluating different solution for a specific problem or need. Ecommerce stores will prioritize transactional terms since these have the highest degree of direct buying intent. Because different business models will prioritize different search intent, it makes sense to mirror this during the keyword research process to ensure you are only focusing on the search terms that have greatest potential bottom line impact. This applies for both new and existing websites. 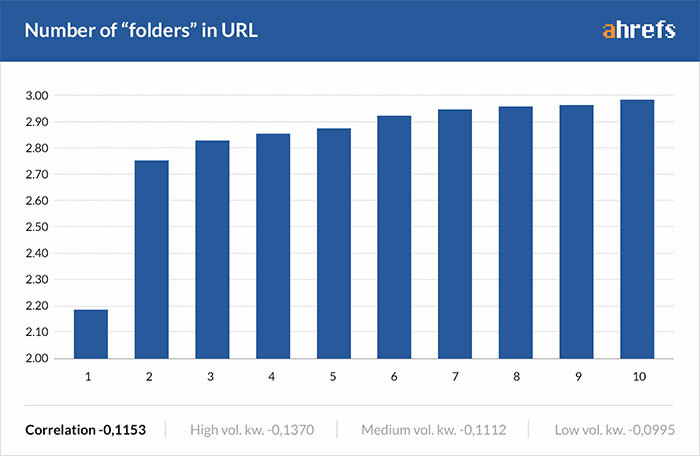 One of the easiest ways to perform this type of laser-targeted research (for both new and existing sites) is to analyze keywords at the subfolder level. Important: this strategy works when your site has a clean URL structure with content types organized into dedicated subfolders. In the previous step we looked at how to find ALL the quick-win keyword opportunities for your site across ALL intent buckets. This approach works great if you only publish content with a single form of intent. For example: a blog that only publishes high volume informational content to monetize through adsense revenue. If you have an eCommerce site, you’re going to be publishing informational, investigational AND transactional intent keywords across assets like blog content, comparison pages and top-level product/category pages. While each level of intent serves a specific purpose for this business, its the investigational and transactional keywords that drive direct bottom line value. It makes sense to prioritize the keyword research process around commercial intent terms. And, this is where subfolders come into play. So, instead of starting the keyword research process by looking at ALL the keyword opportunities (like we did in the previous strategy), start with the keyword opportunities inside commercial intent subfolder(s). These are the most valuable quick-win keyword opportunities for an eCommerce site like Beardbrand, and should always be prioritized when it comes to updating and relaunching content for organic traffic gains. Bottom line: use subfolder to focus in on your highest intent terms, when possible. Subfolder research can also be used to find NEW high value keyword opportunities. Repeat this process for 3-5 of your top organic search competitors and export the results into a aggregated master excel file. Set a filter to highlight all the duplicates, and focus in on the new commercial intent opportunities you are not already targeting on your site. This is one of the fastest ways to find loads of high-value keyword ideas that align directly with your site’s monetization model. One of the fastest ways to increase organic traffic is to get your content to rank for more keywords. One of the reasons this site was able to scale its organic footprint so much was because most of the articles on the site ranked for thousands of secondary keywords. Note: The primary keyword “best cell phone plans” (48,000 monthly searches) only brings in 5% of the page’s overall monthly organic traffic. The rest comes from the other 42,477 semantic and long tail secondary keywords. The post ranks for 4,800 different keywords and rakes in 5,800 organic searches a month. Using long tails and semantics helps Google see the post as being relevant to a range of queries. So, how do you expand the organic footprint of your content? The first step in the process is finding a list of secondary keyword targets with some kind of search volume. If I was going to equip myself with affiliate links and write a post comparing coffee grinders, I’d know to include sections on burr grinders, grinders for french press, conical grinders, etc. Without mentioning these kinds of grinders in the post, I’d be missing out on thousands of extra visits when the post started to rank. 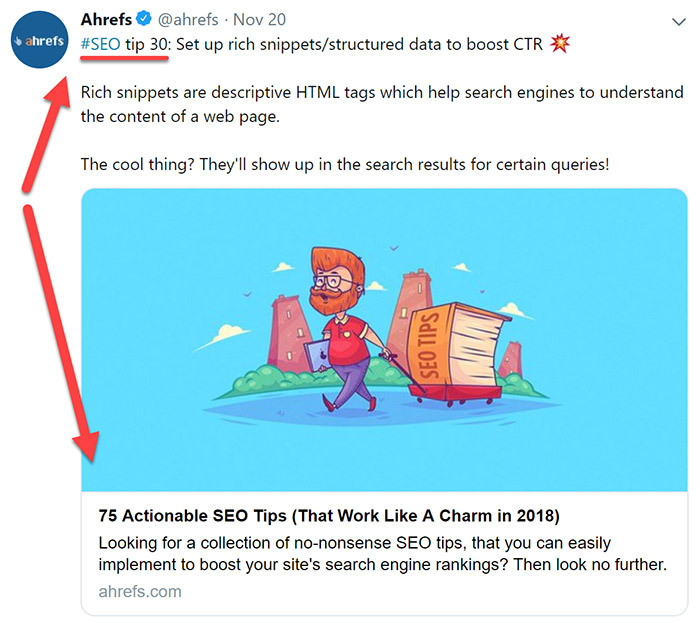 Before you hit publish (or ideally before you start writing), run the top 10 competing posts through Ahrefs and add their best long-tail keywords to your list. Export all the secondary keywords and remove any duplicates. Note: This strategy is not only good for finding secondary keywords to include in on-page elements such as a title tags, headings and body copy, but they can also give you ideas for new sections or topics to cover in the content too. 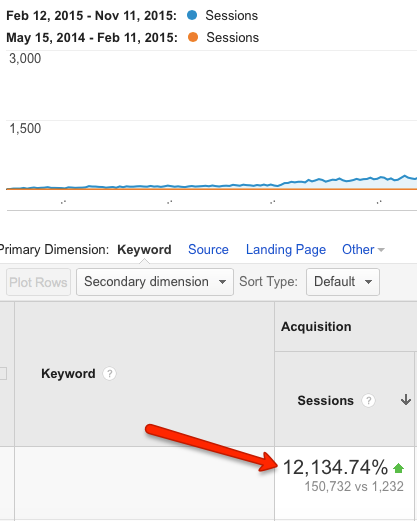 So, how do you quickly identify all the keyword gaps? The Ahrefs Content Gap Analysis tool. Note: make sure you have the URL selected from the drop down next to each URL since you are specifically interested in all the keywords those competing pages/ posts (not whole domain) are ranking, but you are not. I recommend keeping “At least one of the targets should rank in top 10” selected as this will help return the most relevant results. 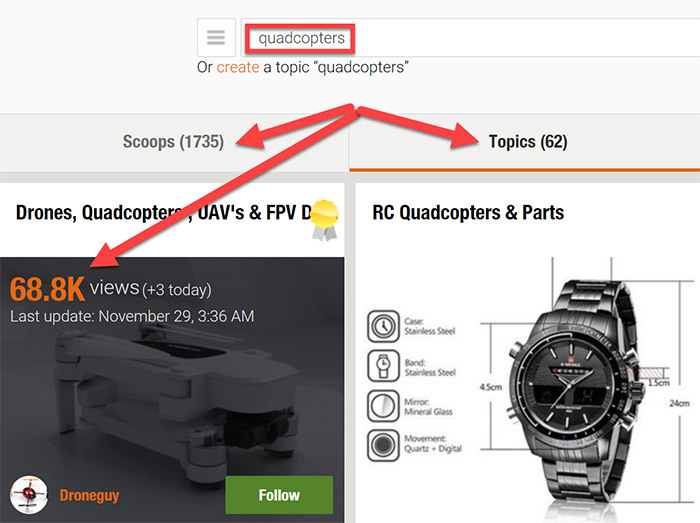 Bonus tip: as you scan down the list of secondary keyword opportunities, focus on the the opportunities where at least two of your competitors are ranking in the top 10 for a given keyword. These will typically be the most relevant targets. Finally – export the keywords and remove any duplicates. You’ll probably find a handful of secondary keywords were naturally included in the article as it was written. But, it’s always good to revisit the content and make sure all the bases are covered. 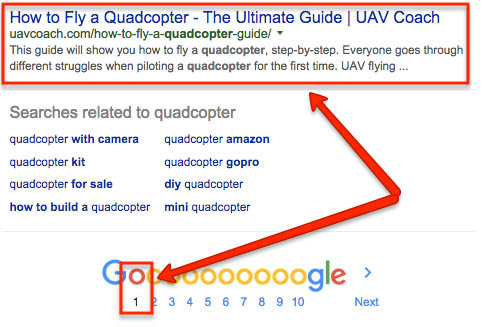 With your secondary keyword list in hand, make sure to include them in headings. Headings — wrapped in h1, h2, and h3 tags — are essential for signalling content relevance to Google. Next, go back through the post once it’s written and ctrl+f secondary keywords and words that comprise them (“grinder”, “coffee grinder”) — you’ll find you can vary the wording to cover more keywords in the body copy and still keep a smooth content flow. Finally, consider updating older content to include entirely new sections (or subsections) targeting the new secondary keyword/topic opportunities. Again, work the keywords into the headings (one H2 and a few H3s should do the trick) and weave into the body copy where it makes sense. Want to give EVERY new piece of content you publish an INSTANT boost!? As soon as you publish your new post, add a link to that post from an existing, related piece of content on your website that already has a TON of authority (i.e. a high UR). This is tactic was briefly mentioned above. Below, we will outline several ways to mine solid internal link sources for your new content. Because this page is clearly about increasing organic traffic, it would make perfect sense to link to it from this SEO case study on the date of publishing. Linking to my newly published post from that one would be sure to give it a nice boost! BUT, how do you find worthy pages from which to add internal links from? 1. 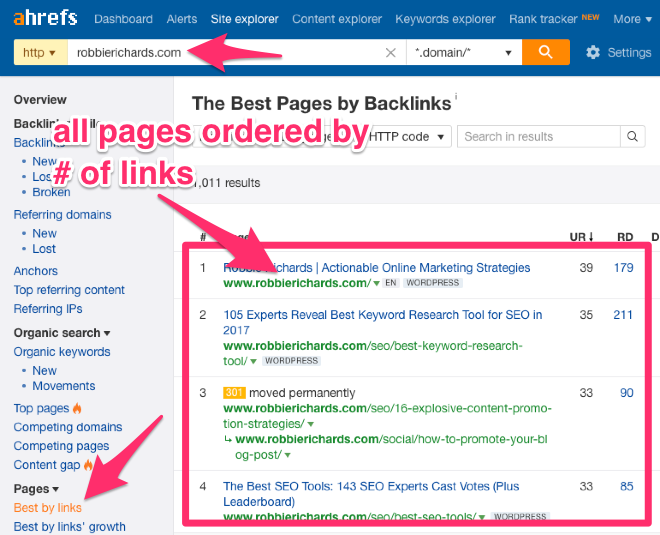 Use the “Best by links” report in Ahrefs —this will show you every page on your website ordered by number of inbound links (as mentioned above). Work your way down the list and find a suitable post from which to add your link! 2. Use the “top pages” report in Google Analytics — this will show you the pages with the most traffic on your website. This can be accessed via: Behavior > Site Content > All Pages. You know pages getting a lot of organic traffic are ranking highly in the search engines, which is a good indicator they have authority (and links) attached to them. 4. Use search operators to find solid internal link sources. While tools can make this process easier, you don’t need them to find some good targets. Basically, just replace the “keyword” with a keyword related to the content you’ve just published. Add a link from one or two of these pages (note: don’t force it in, make sure it’s natural!) and you’ll see a nice boost to your new post. Every question is a problem. Drive more brand awareness (and traffic) at the exact moment your ideal customer is experiencing a pain or need. Boost conversion rates by identifying (and overcoming) objections at the point of conversion. So, how do you find all the questions your ideal customers are searching for answers to online? 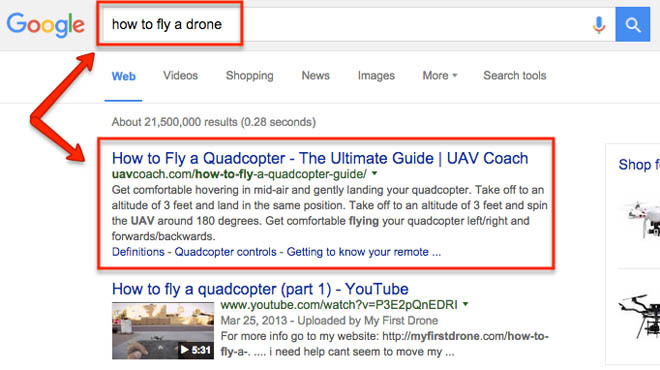 These are the exact questions your customers are typing into Google. Keep clicking until you have 30+ questions in the list. Copy the data to your clipboard. At this point, you’ll have ALL the questions and answers in the spreadsheet. But, for the purpose of this keyword research strategy we’re only interested in the questions. This will add a 0 for all the questions, and a 1 for all the answers. Question-based queries will get your business in front of potential customers at the exact moment they are searching for answers to a specific problem related to the products or services you sell. Note: If you want to learn the exact systems and process I use to build out scalable keyword strategies for my business and clients, check out my SEO training course. In the search engines, you’ll see around 2/3 of all the clicks going to the top 3 positions. Anything outside the top 3 and you’re looking at a single digit CTRs. If 10% of searchers click my website in the SERPs, I’ll receive roughly 150 visitors/month. However, if only 2% of searchers click through to my website, I’ll receive a measly 30 visitors/month. So, the question is: how can you increase your CTR? Improve rankings—pages that rank higher are generally clicked more. 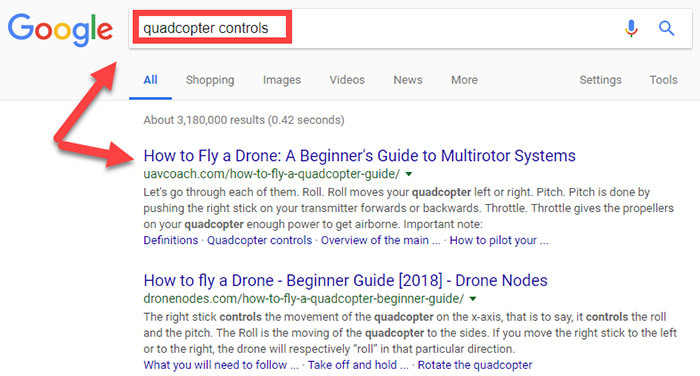 For example, most searchers will click the 1st or 2nd result in the SERPs, and virtually nobody will click through to the second page of results. 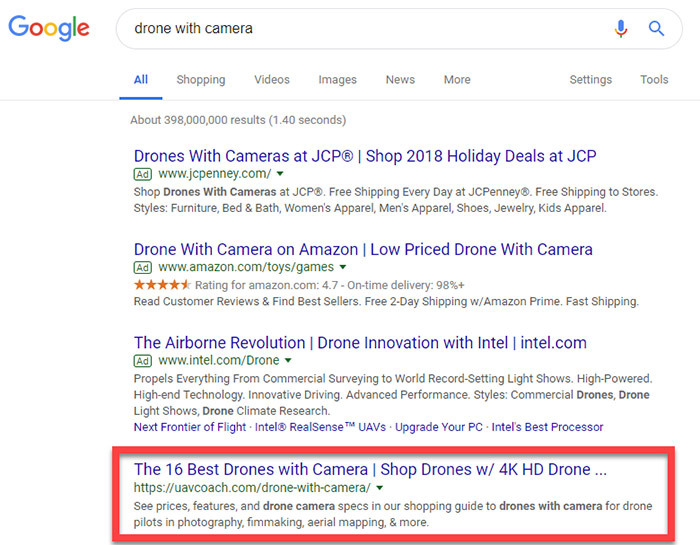 Sell your content in the SERPs—use your title and description tags to effectively “sell” your content in the SERPs and entice a click through. The second method is the one I want to focus on right now, as it’s super low-hanging fruit most SEOs never think about! 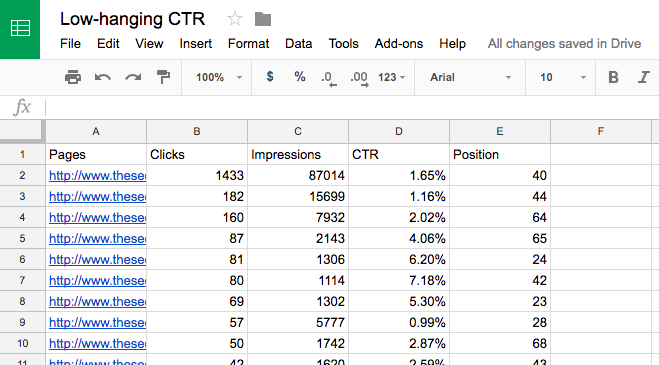 Identify pages on your website receiving below average CTRs for their ranking position. 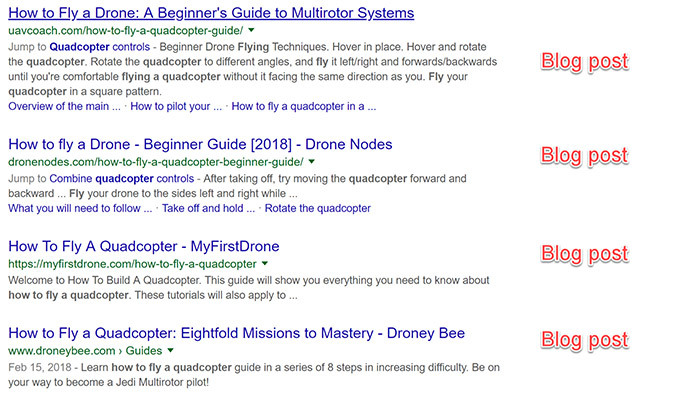 Change your title/description tags to entice more people to click through to your website from the SERPs. 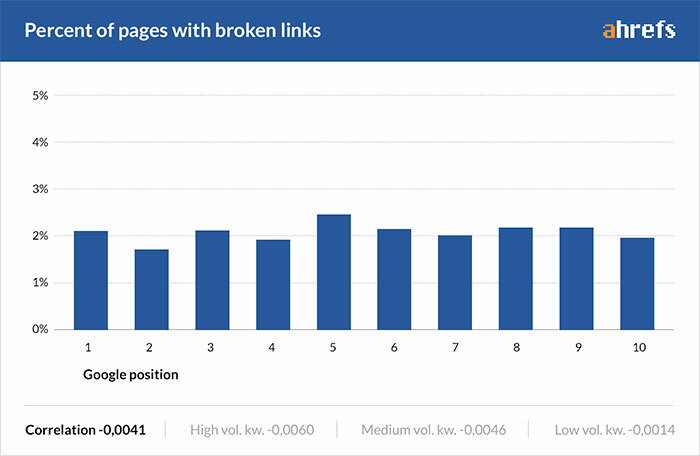 The first task is to identify the pages getting lower CTRs than they should be—this can be done by analyzing search console data. Download the results (note: the download button is at the bottom of the page). Basically, this shows you the CTR for each page (column B) ranking in position 10 or under. It also shows the Average CTR for rankings in that position (note: these numbers were taken from here). If the row is highlighted green, the CTR for the page is better than average for webpages ranking in that position. LEAVE THESE ALONE! If the row is red, the page is performing worse—consider optimizing the title/description tags for these pages. Here’s a guide on exactly how to do that. If you want to rank for any keyword, you need page authority. And, the way you get authority is by building quality links. There are a million and one ways (depending on your niche) you could go about building backlinks to your website. And, it’s tempting to dive right into a new campaign and go after the big wins. Why not, right? Big wins are great! Everyone loves them – clients, boss, the team. Nothing better than landing a massive link from a site like Huffington Post or NBC. While those links really move the needle, and should be a focal point, they require a lot of time and hard work. Before you start directing all your energy into landing BIG links, make sure you are first collecting all the “quick links”. This will get you some quick wins for your client, and help build trust at the beginning of your campaign. One of the easiest ways to do this is reclaim lost link equity from 404 pages. Websites change over time. Products come and go. Information is updated. URLs are modified. Pages are edited, shifted, and moved. While all this sounds like on-page SEO, it affects off-page SEO as well – specifically links. If you’ve ever landed quality links to a piece of content on your site and then updated the URL or folder structure, you’ve just affected that link. Where it hurts you is when you make such a change and don’t put in the right 301 redirects. Basically – the links you worked hard to get are still pointing to the old URL. The result is lost link equity. So, one of the best things you can do when starting a new link building campaign is ensure there aren’t any dead/404 pages with external links pointed at them. Reclaiming even a few of these links can give your content a nice bump, and provide a significant win that builds trust with your clients. The first result in this example has 6 referring domains pointing to a 404 page. This is a MASSIVE link that would normally take a lot of time and effort to get, if at all. Once you’ve identified the 404 pages with external links pointing to them, the final step is to reclaim the link equity. Note: You should first examine the quality and relevance of the external links before reclaiming them. This is a screenshot from a backlink audit we’re working on for a client. 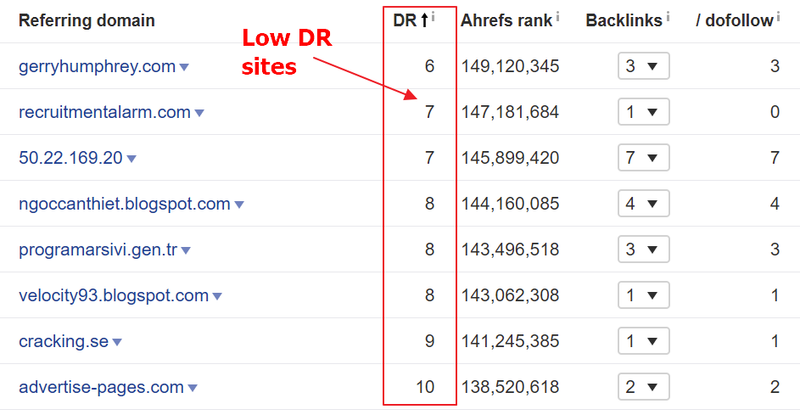 There were a lot of low DR sites link from irrelevant content. Not links we’re interested in reclaiming. The last thing you want to do is start redirecting a bunch of garbage links to your site. You’ll likely do more harm than good. Contact the author of the page linking to your site and notify them your page has moved. Ask them to update the link. Google HATES messy, disorganized websites. Why? Because it makes it very difficult for them to understand what a webpage is about. And if they don’t know what it’s about, they probably aren’t going to rank it highly! In simple terms, “siloing” is nothing more than the act of grouping content into distinct categories, ensuring a clear hierarchy that makes sense, and linking logically between the pages. You can see there’s a clear content hierarchy—the pages are grouped into main categories (i.e. silos) and linked-to from the main category page. This is commonly referred to as parent and child hierarchy. Note: It’s good practice to link back to the parent category from child pages, too. This hierarchy will help dictate the URL structure. Note: It is best practice to have support pages linking back up to the silo landing page (as shown by the red links above in the Yoga studio silo). It helps the flow of “link juice” around your website: Because you’re creating a hierarchical structure, siloing ensures authority flows around your site more efficiently. (i.e. links to blog posts and sub service/product pages can flow up through the website to the “money” pages. What happens if you don’t implement content silos? An orphan page is a page with zero incoming internal links, and thus can’t be reached by users or crawlers while navigating your website. This usually hurts UX and ranking performance. If the page has no internal links, check to make sure the relative URL paths are not being used on the site. 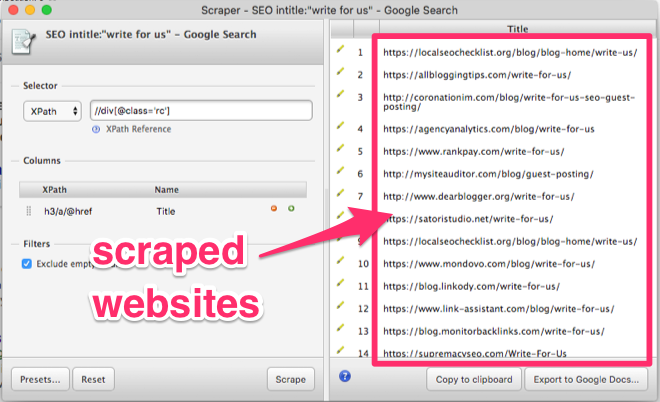 You can use a tool like SEMrush to scale the process of identifying orphaned pages across your website. Wait for the website to be crawled. You can also use the tool to detect Orphaned Pages through your XML Sitemap or Google Analytics data. Check out the full tutorial on how to do that here. Orphan pages = bad (unless deliberate). Identify the overarching topic groups of your website. What content do you have, or plan to have? What products or services do you plan to promote on your website? What are the main categories on competitor sites? Your keyword research should help flush this out. Strengthen silos with relevance and authority. Continue to add contextual content into your silos. 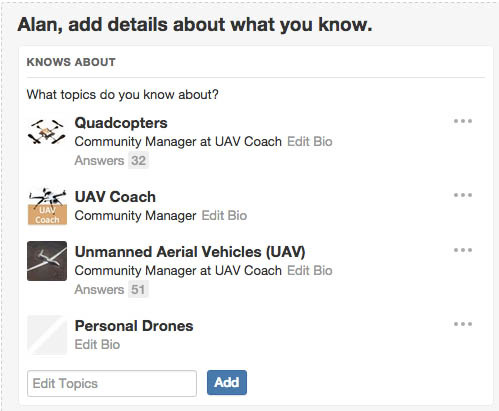 One of the easiest ways to do this is add related blog categories. Add content into the categories, build links to the content, and channel it back into the silo subpages through targeted internal linking. Keyword research is the foundation of most successful SEO campaigns. Rank for the right keywords, and you’ll drive a passive stream of targeted traffic to your website. But, keyword research is a MASSIVE topic. I mean, just google it and you’ll get 16M results! Or more specifically, all the keywords your competitors are ranking for, but your are not. This allows you to plug any holes in your current content strategy, and start capturing more organic traffic. Open up SEMrush, and go to the “Keyword Gap Analysis” report. You should now see space to enter up to 5 domains for comparison. Enter up to 4 competitors, followed by your own website. IMPORTANT: You MUST enter competitor domains first, with your own domain last on the list. Once you’ve got your top organic competitors entered into the tool, you’ll notice a venn diagram icon listed next to each of the domains. This UX isn’t super intuitive, so let’s work through a couple quick examples of how you could use this tool to find untapped keyword opportunities for your business. All of my competitors are ranking for these keywords, but I am not. This insight is extremely valuable because if all your competitors are able to rank for those keywords, there is a high probability you can too (provided each site has a comparable domain rating). You can export these keywords and start prioritizing which ones should be added to your content calendar. That’s just one use case. 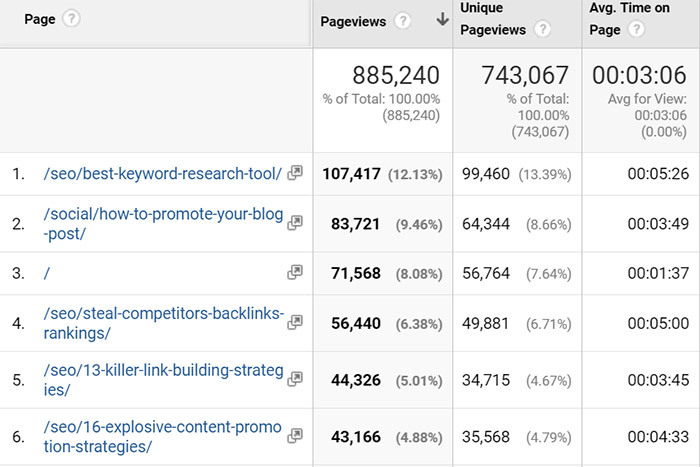 Let’s pretend I want to broaden the scope and look at all the keywords ANY of my competitors are ranking for. Now, I know what you’re probably thinking. Most of the results in the examples above are keywords ranking super low in the search results. One might argue this information is pretty useless. When performing your competitor keyword gap analysis, start with competitors who have similar domain authority ratings as your site. This way, you know any keywords your competitors are ranking, you can too. Important: Don’t focus your entire keyword strategy around your competitors. You want to go after opportunities they are missing out on too. One way I do this is using the keywords identified in the gap analysis to seed ongoing topical keyword research. It will return a list of hundreds or even thousands of related long tail keyword variations. As you enter in different seed topics, simply click the box next to any keywords you think might be a good target and they’ll be added to a master list which you can export once finished with your keyword research. 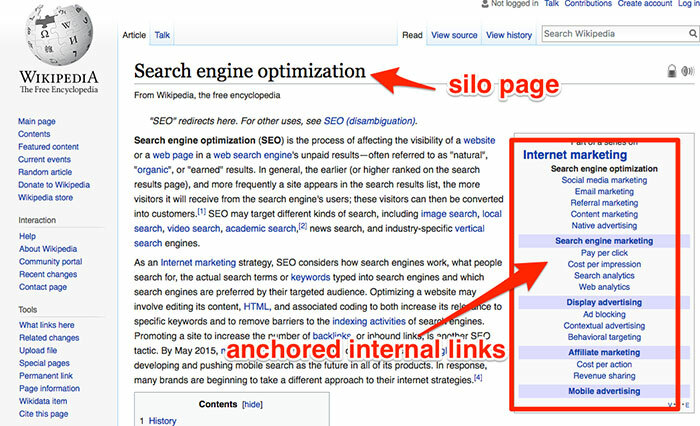 “Barnacle SEO” is a term coined by Will Scott of Search Influence. BUT, what does this mean in relation to SEO? Simple…rather than competing with the BIG sites that dominate your niche, you instead align/attach your own brand with them. That way, you can effectively piggyback on their success! So, whenever anyone is looking for the services you offer, chances are they’ll end up on a website like Avvo.com. In this case, it’d be better to simply piggyback on the authority of the larger sites to rank for highly competitive keywords, at least in the short term. Hotels: TripAdvisor, Hotels.com, Timeout.com, etc. Obviously, some of these websites are more difficult to associate your own brand with than others. For example, TripAdvisor rankings can’t really be manipulated (unless you’re providing EXCELLENT service), but you can easily post on forums like Warrior Forum or Quora; you just have to sign up and post an answer. That’s why I recommend looking for keywords in your niche where forums (e.g. Quora) or niche directories dominate the SERPs. This will show you each of the 29 million keywords Quora.com ranks for! Most of these keywords will be completely irrelevant to your niche; that’s why you need to use the filtering options to find keywords that fit the bill. Do this right and it can drive A LOT of targeted traffic back to your website! You just need to “attach” yourself to the appropriate category of the site, and optimize your profile for high placement. If you can get your profile ranking in the aggregators, you can quickly build visibility for a lot of your “money” keywords. This keyword is a ultra competitive in both local and organic search. Plus, you could be paying up to $100 per click in AdWords. Take a close look at how businesses in ultra competitive markets are optimizing their profiles to rank. It might even make sense to pay for top placement in some of the niche directories. Does the site rank top of page one for the target search term? Does the site allow visitors to leave reviews? Does the site allow you to link to your page? Are your competitors already present on the site? Can visitors contact you directly from the site? Can you pay to elevate your listing on the site? Ranking for BIG “money” keywords isn’t always possible with your own website. That’s because the BIG keywords are often super-competitive and ONLY super-authoritative brands stand a chance at ranking for them. Bottomline: you probably ain’t going to stand a chance at ranking for this keyword with a DA30 website….no matter how great your content is! In simple terms, parasite SEO is where you piggyback on the authority of other websites to rank for super-competitive, “money” terms. But wait, how is this different from Barnacle SEO? With Barnacle SEO you are basically adding profiles or comments to top ranking aggregators, directories and forums in your industry/market. With Parasite SEO, you’re publishing new content (i.e. blog posts NOT profiles) on high ranking sites and publications. 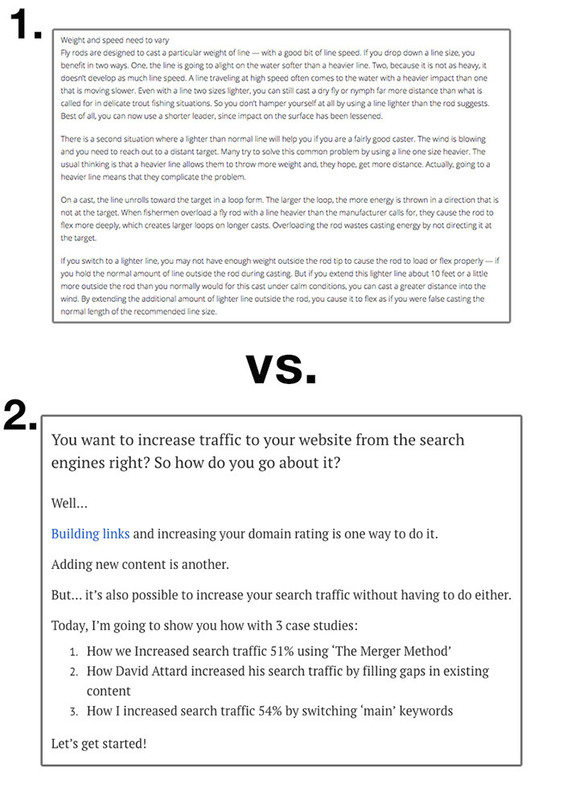 You might remember that one of the pages ranking in the top 3 was this post on the Ahrefs blog. It’s actually a guest post! This article has been ranking #1 for over 4 years! 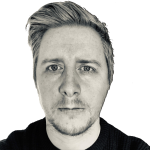 Matt Barby used parasite SEO to rank his client for the keyphrase “app makers” (22,000 monthly searches). Note: Obviously, you’ll need a list of competitive keywords you want to rank for in order to do this. 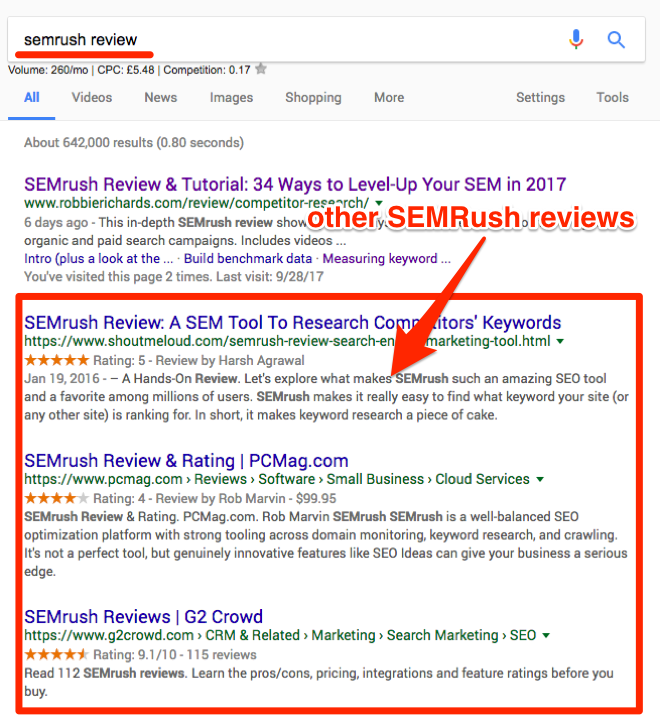 If you don’t have that already, check out my post listing a TON of ways to find keywords with SEMrush. OK, first things first…you need to find websites accepting guest posts. It’s then just a case of pitching them your topics. IMPORTANT: Make sure the website you’re pitching is actually authoritative enough to rank for the keyword you’re targeting. The quickest way to do this is to check the KD score in Ahrefs, then check to see if the website is already ranking in the top 5 for other keywords with a similar KD score. If it is, you’re good to go! 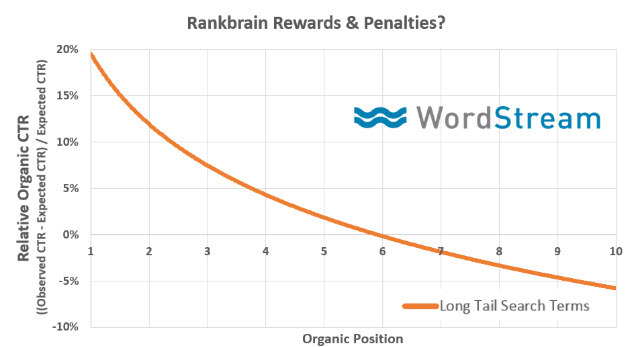 Let’s say we wanted to publish a guest post that ranked for the keyword “long tail keywords”. So, we need to publish our post on a website that is capable of ranking for keywords with a KD score of 52 (or higher). We can do this with Ahrefs Site Explorer. Just enter the domain of website you want to publish the guest post on (e.g. 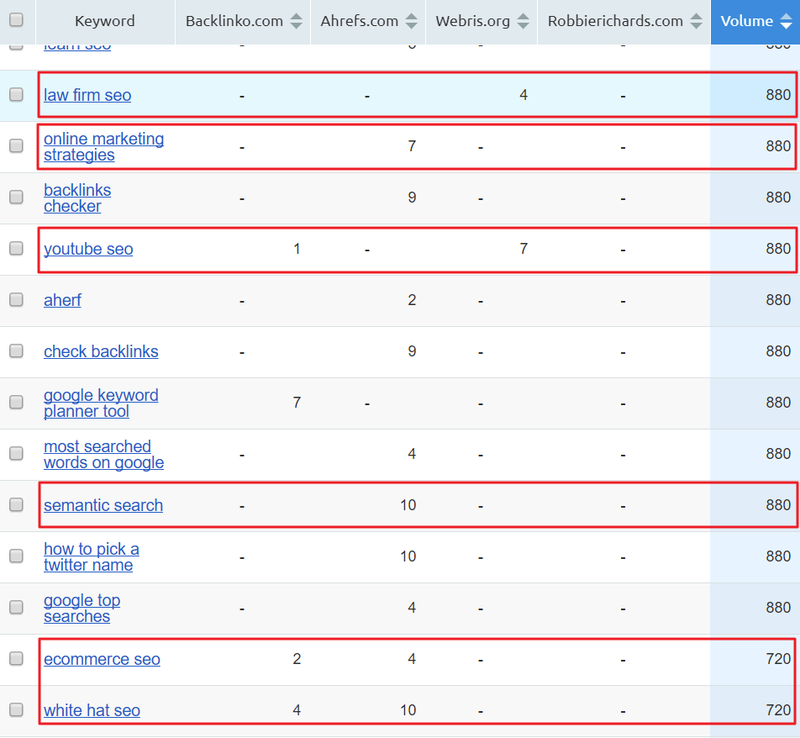 AgencyAnalytics.com), go to the “Organic Keywords” report, then filter by keywords ranking in positions 1-5. 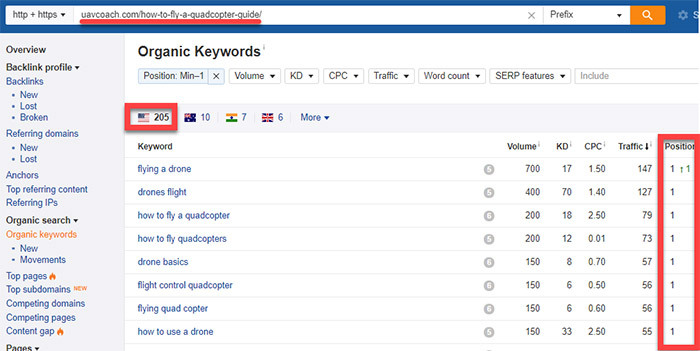 In this example, we can see that they’re ranking in the top 5 for a KD 72 keyword. If the average is similar to the DR of the target guest post website, go for it! As mentioned earlier in the post, links are MEGA important when it comes to ranking. You NEED to be acquiring backlinks on an ongoing basis! Unfortunately, this is the exact opposite of what most people do! Most people focus all their time and effort into content creation and ZERO effort into link building. Simple. You need to put most of your resources into acquiring links in the early stages of a website. Why? 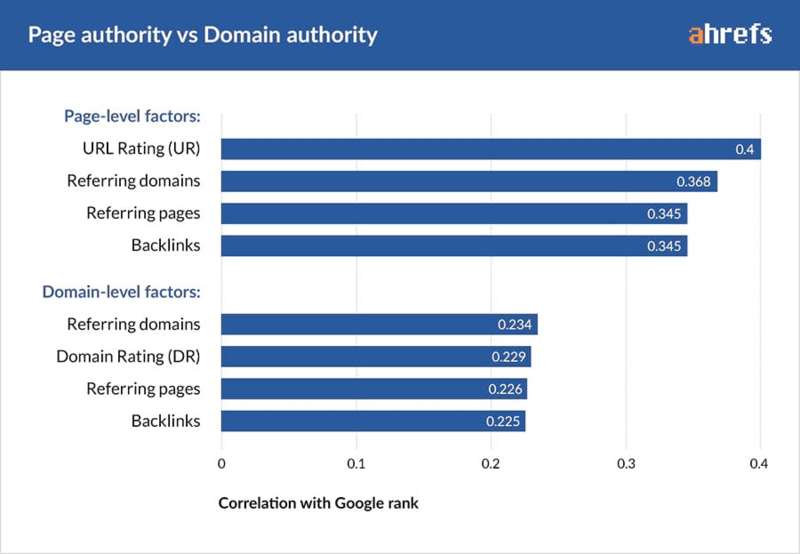 Because without building some authority, you aren’t going to rank for anything (not even low competition keywords!). The initial focus is seeding site authority in parallel with content creation efforts. The first three domains should be domains of your competitors, and the “But doesn’t link to” field should be your own website. 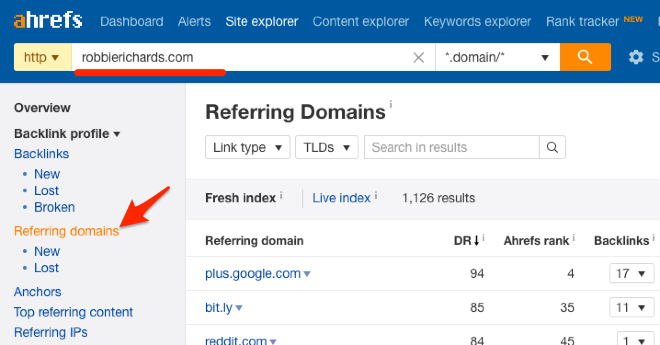 Ahrefs will now show you who’s linking to any of your competitors, but not your own website. Reach out to these people, build a relationship, and see if you can get them to link to your website, too! People who have linked to you before will probably be open to doing so again in future. So, wouldn’t it make sense to keep a database of these people, then reach out to them whenever you publish something that may be of interest to them? This will show you EVERY domain currently linking to your website. Next, import all the domains into a Google Custom Search Engine (CSE). Note: You can find instructions, along with a bunch of templates for automating this process in this post. Once you’ve done this, you will have a custom search engine that searches ONLY the websites that have linked to you in the past. You can then reach out to these people, tell them about your post, and ask if they’d be happy to link to you! ​This strategy is designed to scale the traditional approach of analyzing competitors to find quality backlink opportunity. Specifically, it piggybacks off the concept of Brian Dean’s popular Skyscraper technique. Doesn’t sound too different from normal competitor link analysis. Instead of trying to steal links from just one piece of content, you instead steal links from many pieces of competing content. And, this is how we scale the competitor link building process. We managed to build over 60 quality links to the client’s website within a 60 day period. 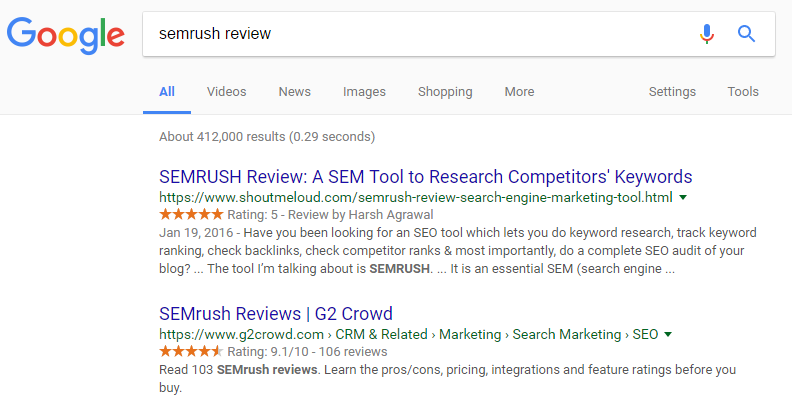 I recently published this in-depth SEMRush tutorial/review. I believe my review is more comprehensive than ALL of these other review. So, I can use this outreach approach to steal links from ALL of these pages. I’m seeing about a 3-4% conversion rate. Reach out to them and ask them to replace the old link with a link to your new and improved content. Here’s a more in-depth look at this process. Ready to Get More Organic Traffic? There you have it – 14 actionable strategies to get more short and long term organic traffic growth. Always start with the quick win opportunities – content audits, removal of keyword cannibalization, link reclamation and quick keyword wins. Then, build on the moment to scale up for long term organic traffic increases. Also, make sure you leverage the bonus templates and videos to get a quick start on things. Which strategies are you going to implement first? 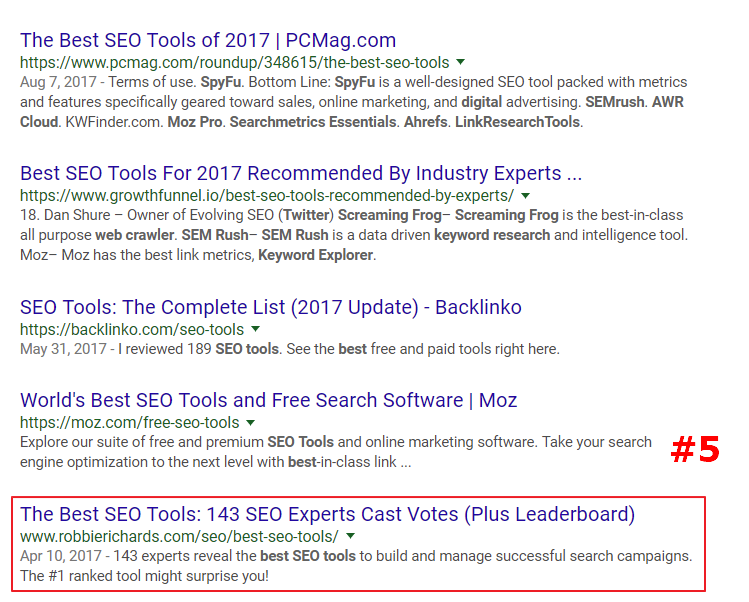 The post 14 “No-BS” Ways to Rapidly Increase Organic SEO Traffic in 2018 (with Case Studies & Examples) appeared first on Robbie Richards. My premium SEO training course, The SEO Playbook, is now open. Find out more about the course and see what current students are saying about it here. Do you want to learn to rank #1 for high-traffic keywords in any niche? 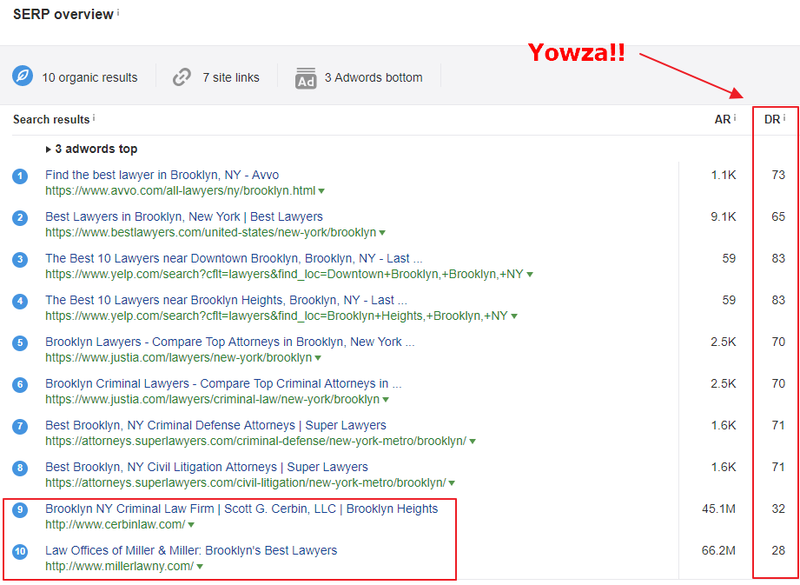 In this SEO case study, you’re going to learn the repeatable 6-step process one of my readers used to get his client to #1 in Google, outrank big name brands like Mashable, and increase organic traffic 11,065% in just 6 months! He was able to do it in a niche industry without spending any money on paid advertising or link building. Over an 18 month period this simple SEO strategy was applied to several posts across his client’s site, generating 152,732 visits. Every month, the organic traffic delivers hundreds of new email subscribers, affiliate commissions and potential business leads. Its a simple (and repeatable) SEO strategy any business can use to drive more qualified traffic from search engines. Note: This a monster 8,000 word SEO case study, so I’ve included a table of contents below for you to easily navigate between sections. Disclosure: This article contains affiliate links. I only promote tools I personally use to run my business. If you decide to purchase through one of my links I will receive a commission at no additional cost to you. This helps me continue to publish valuable content – thanks for the support! Need help getting more organic traffic, leads and sales for your business? Set up a free consult with me here. Alan Perlman started UAV Coach to help people break into the industry, and build a business around something he’s passionate about. To do this, he needed to find a way to generate recurring traffic and leads. I was contracted to help with this assignment. I knew we needed to build an SEO strategy centered on evergreen content that would help generate long-term exposure, position the brand as an authority in the industry, capture leads, and ultimately convert them into paying customers. 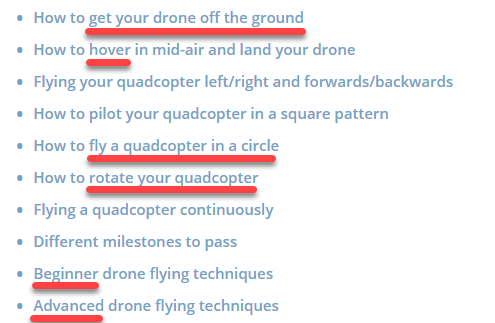 It’s an in-depth 4,400-word guide to safely piloting a remote control quadcopter. The post captured 2,335 emails, making it a top lead generation asset for the business. How long did it take to reach the #1 spot in Google? It took 3 months to hit the first page and 5 months to reach the #1 spot. While I’ve worked with hundreds of companies on their marketing and sales strategies, it wasn’t until working with Michael that I saw such rapid growth in organic, search engine traffic. Doubling our results month-over-month has not only helped us to grow our email list and generate revenue through our affiliate partners. It’s helped us to transform our mere industry blog into a real, thriving business. You’re about to learn the EXACT process I use to create killer content, outrank global brands like Mashable and deliver thousands of targeted visitors to my client’s websites. The process works in ANY niche. And is designed to maximize your effort-to-reward ratio by targeting keywords that are comparatively easier to rank for. And you’re right: it’s not complicated, and that’s the beauty of it! We needed to be very strategic about which topics we targeted, especially as a smaller blog with relatively low domain authority (more on this later). Our first step was to perform keyword research and uncover evergreen topics targeted to beginner pilots (our core persona at the time). If you want to learn the step-by-step keyword research process I use to scale organic traffic for my business and clients, check out my premium training program, The SEO Playbook. Why did I start with this keyword? Note: The final point in the list is often overlooked. Many people make the mistake of only looking at the search volume associated with their core target keyword. And, they miss out on a LOT of potential traffic. 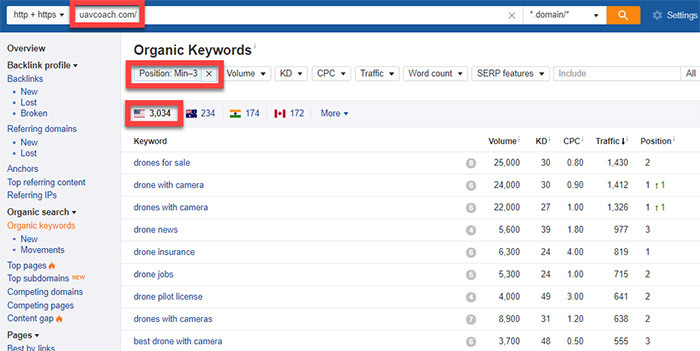 Top Pages report shows the number of secondary keywords the guide ranks for. In fact, the primary keyword drives a small percentage of the total organic traffic going to the article each month. You’ll see SEMrush kicked back 962 related search terms! Related Keywords report in the SEMrush keyword report. Once you’re done selecting related keywords, click the green “Add to Export Manager” button at the top of the report. In a matter of minutes you’ve compiled dozens, maybe hundreds of secondary keyword ideas. Next, perform a quick search for your target keyword and scroll down to the “Searches related to…” section. Tip: Take one of the keywords from the “Searches related to…” area, pop that into Google, and check out the “Searches related to…” results for that keyword. Rinse and repeat until you have a list of relevant long tail keywords to target. Manually entering keywords into Google can be very tedious and time-consuming. Answer The Public provides an easy way to quickly scale this keyword research strategy. The tool grabs information from Google Suggest, but what makes it unique is that it provides a mountain of keyword suggestions from entering a single term. It takes your seed keyword and appends every letter of the alphabet after it to produce hundreds of keyword suggestions. 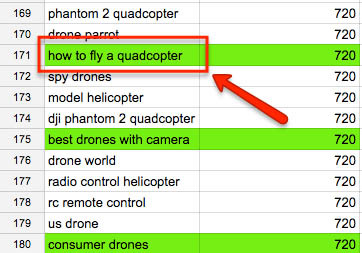 Answer The Public will scrape this data and do all the heavy lifting so you don’t have to spend hours manually entering keyword combinations like “quadcopter a”, “quadcopter b”, etc..
Scan the results and add any relevant terms to your keyword set. These are the exact questions your target audience is looking for answers to online. These topics can provide ideas for new sections to add into informational blog content, or even use as FAQs on more conversion-based content such as product and category pages. Keep clicking until you have 20+ questions in the list. Use the free Scraper chrome extension to scale this form of question-based keyword research. Copy the data to your clipboard and paste it into a spreadsheet. Remove all the answers and you’ll be left with a long list of question-based topics to target. I cover this process in greater detail here. 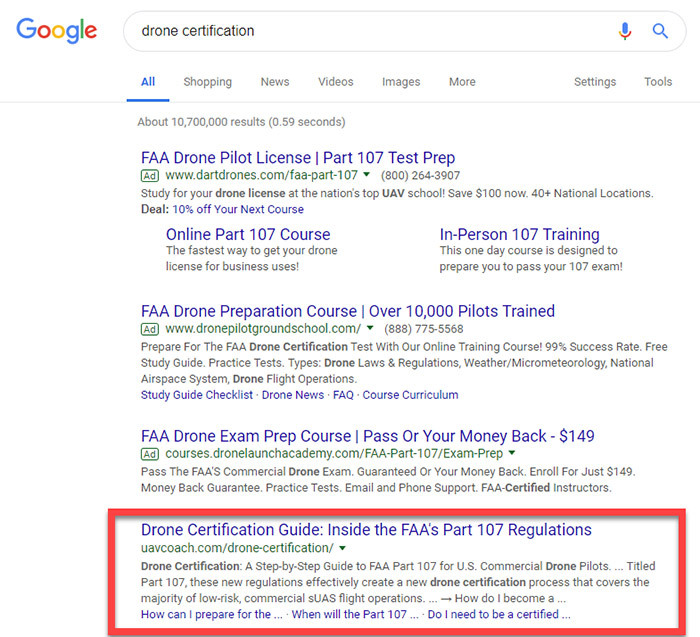 UAV Coach was able to land loads of featured snippets by using dedicated sections in the article to provide direct answers to very specific search queries. 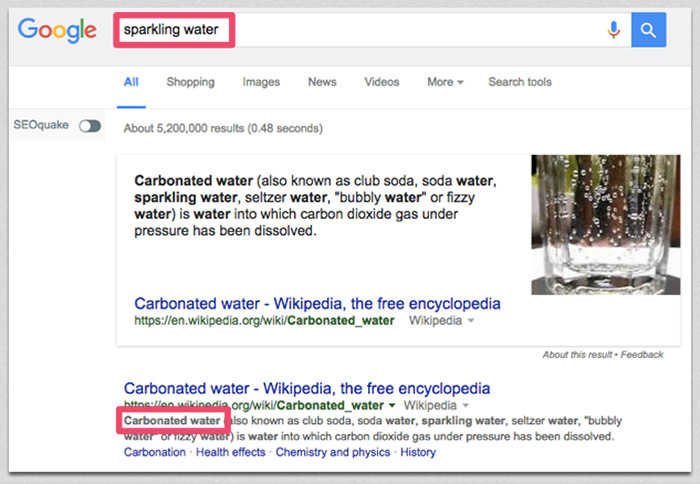 Learn more about getting featured snippets. Now that you have a solid list of primary and secondary keyword ideas, the next step is to qualify the terms you can realistically rank in the top 5 positions within the next 3-6 months. By doing competitive analysis, you can save a lot of time and effort that would’ve been wasted trying to rank for impossible keywords. 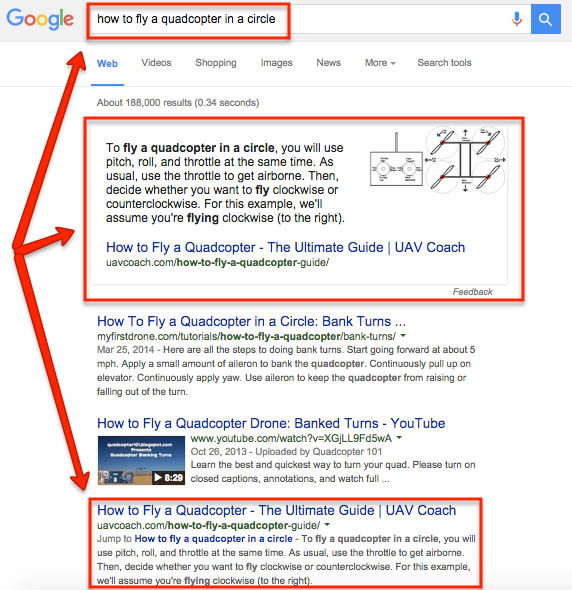 Let’s start by looking at the authority of competing pages in the SERPs. 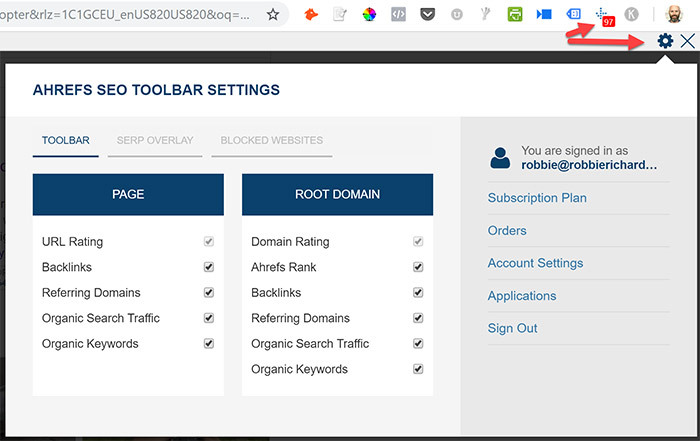 First, install the free Ahrefs SEO Toolbar and do a quick search for your primary keyword. 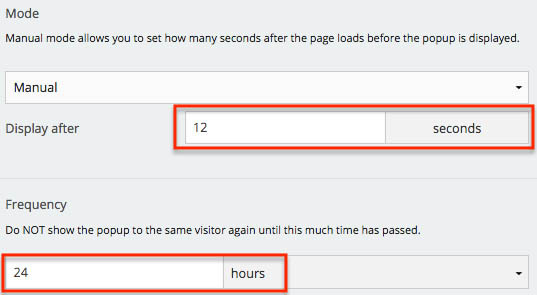 Click the gear icon to configure which Ahrefs metrics get pulled into the SERPs. Each of these metrics is helpful for getting a top-level view of the organic traffic potential and difficulty to rank for a given search term. This looks like a promising keyword to quickly rank for. But, you’re still not done. There are a couple other SERP elements to consider in the keyword qualification process. This is one of the most overlooked steps in the keyword qualification process. Before you decide to target any keyword or topic, determine which specific content types are ranking in the search results. Are they blog posts? Videos? Category pages? Product pages? Government resource pages? 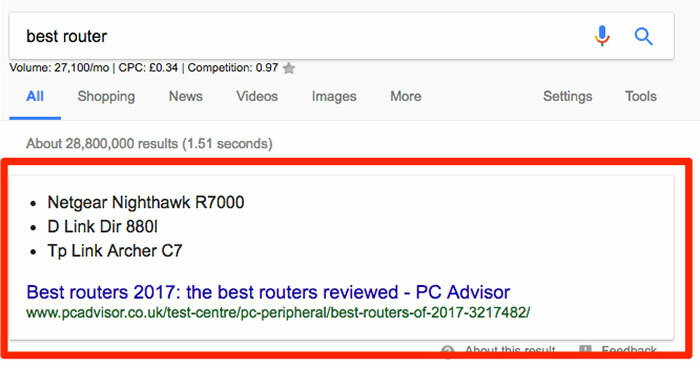 Typically, there will be a single content type displaying in the top 10 results. Basically, this is Google telling you what users expect from a given search query. 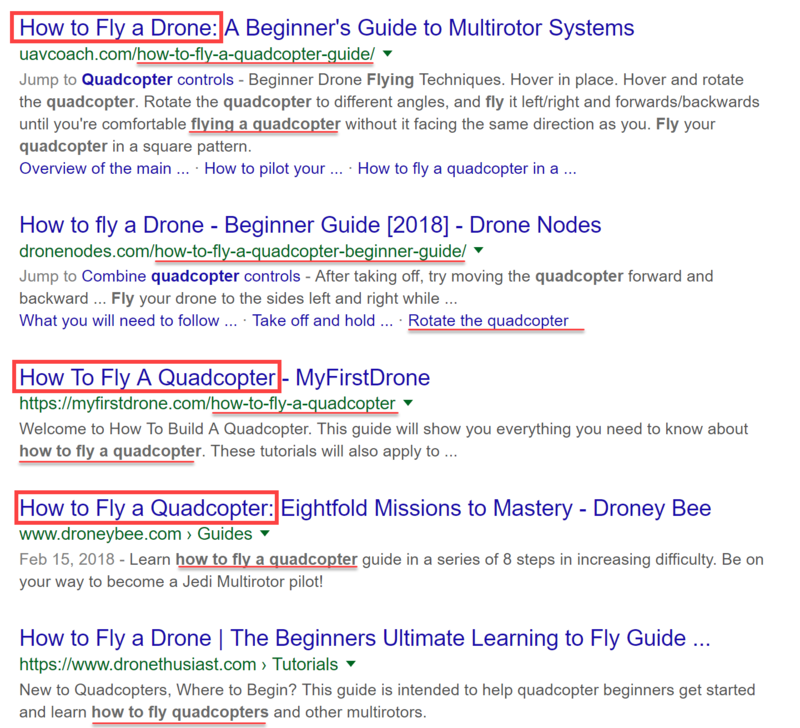 The “how to” modifier in the search string indicates that this an informational search, so it’s no surprise all the results are blog posts. I was working with a SaaS company that had an interactive content marketing platform. The client was trying to rank for product-related terms such as interactive infographic. When I started working with the company they could not get their product page to rank for the term. Initially, this seemed a little odd. The page had a high URL rating (authority), quality content, and a healthy number of quality backlinks. All the ranking assets were long form listicle blog posts. (i.e. they were simply trying to rank with the wrong content type). In the same 12 month period the product page brought in 366 organic visits compared to the blog post with 9,565 organic visits. 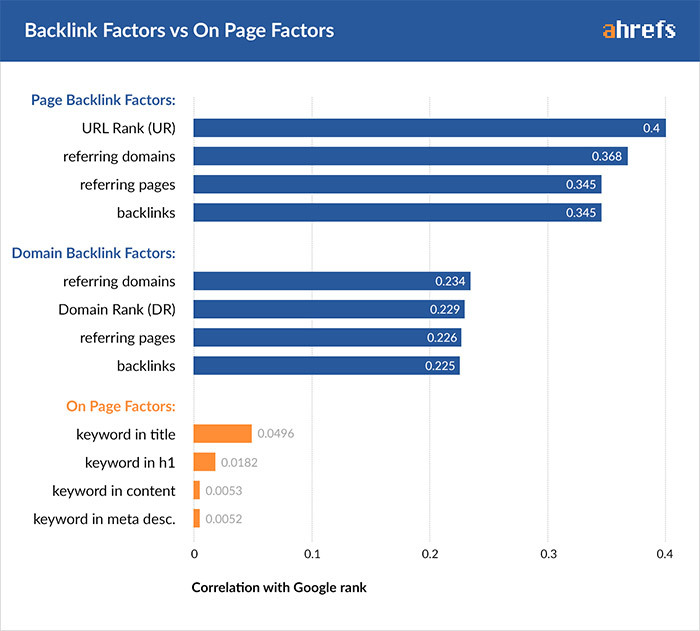 While backlinks seem to have a much higher correlation, on-page SEO should not be ignored. Backlinks can take months/years (and a lot of resources) to build. Meanwhile, key on-page elements can be analyzed and optimized in a matter of minutes. Fortunately, the Domain Rating, URL Rating and link metrics were on our side. The competition in this area was pretty weak. 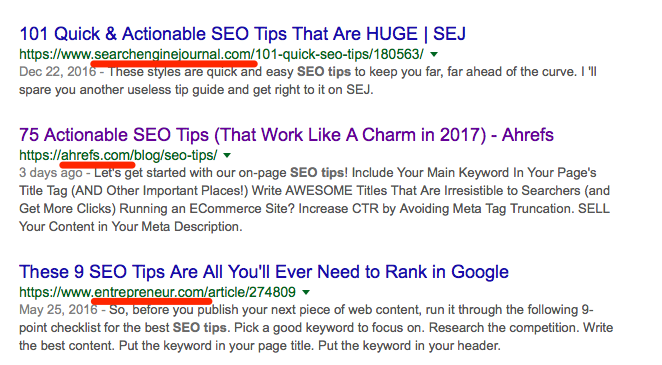 You’ll also notice that some of the articles are using jump links to sections in the post optimized for secondary keyword variations. If these pages had solid backlink profiles and high page/domain authority too, I would have wasted a lot of time creating, promoting, and building links to this article with very little return. It might seem small, but don’t skip this step! Check how well optimized the top 10 pages are for your target keyword. This is the final step in the keyword qualification phase. If you want to learn the exact Content Layering framework I use to crush competitors in the SERPs, check out the Quick Wins Playbook in my new SEO training course here. After examining a few of the top ranking pages, I knew there was an opportunity to crush them in a number of areas. 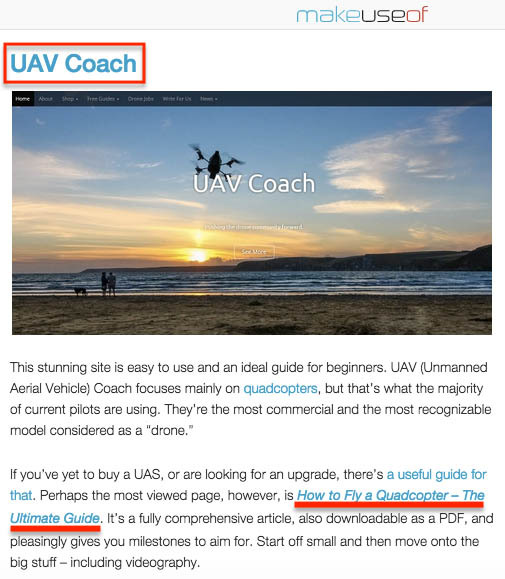 The entire article was only 303 words (compared to the 4,000+ I wrote for UAV Coach). Most of the others posts ranking on the first page were also short and offered surface-level information. Very few posts used any type of multi media – images or videos – to supplement the writing. Check out this SEO copywriting guide to learn how to make your articles more sticky, improve time on page and convert more readers. So, what did I learn about my target keyword? I had a great list of keywords and a solid foundation for the rest of the SEO campaign. Note: Add the terms into a keyword rank tracking tool to monitor position and visibility over time. Time to create EPIC content! 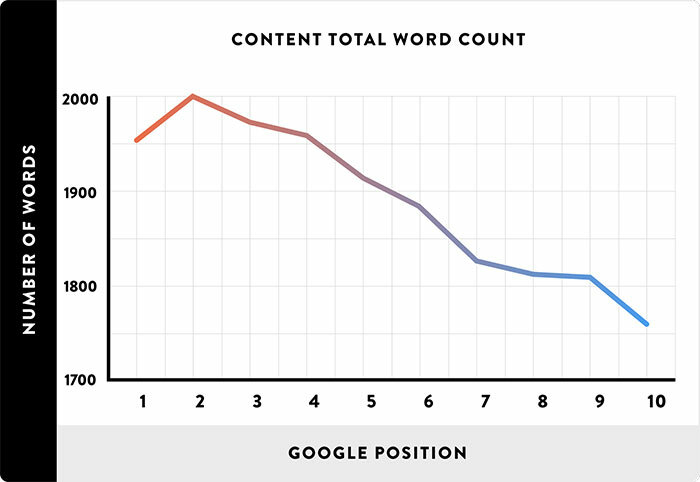 Today, Google’s first page search results average close to 2,000 words in length. 10 results. It should be a definitive resource in every sense of the word. Michael will dive into this a bit more below, but if you want to learn the Content Layering framework I use to rank clients for some of the most competitive terms online, check out my premium training course, The SEO Playbook. Having a great piece of content makes content promotion and link building much easier. Take the time to write something that will blow your competition out of the water. This can help your post stand out in the SERPS and increase click-through rates (now a behavioral ranking signal within Google’s algorithm). 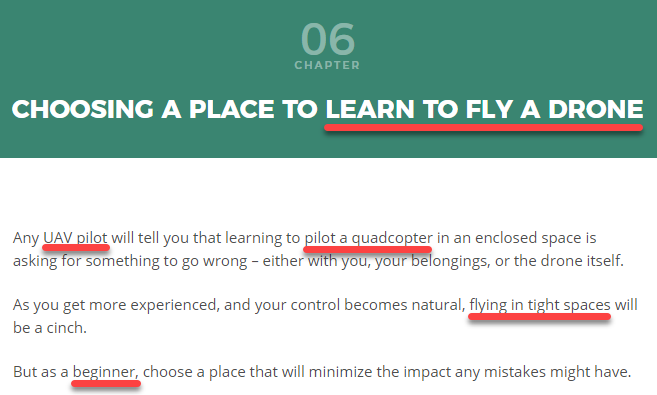 I also included definitions for readers, such as how to fly safely, a pre-flight checklist, novice skills, beginner skills, advanced skills, and much more. I looked at everything the top articles were doing and did it better. Then I looked at everything they weren’t doing, and did that too. This is the stuff that will ultimately make your content stand out from the competition. The result was a 4,774 word guide that was clearly better than anything else out there. 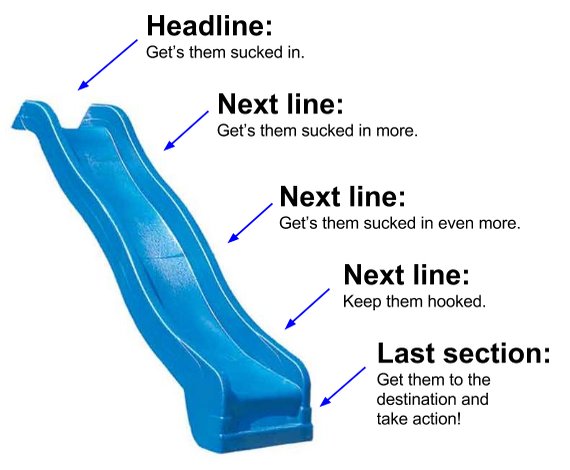 Important: Try to beat your competition on every level – length, current information, design. 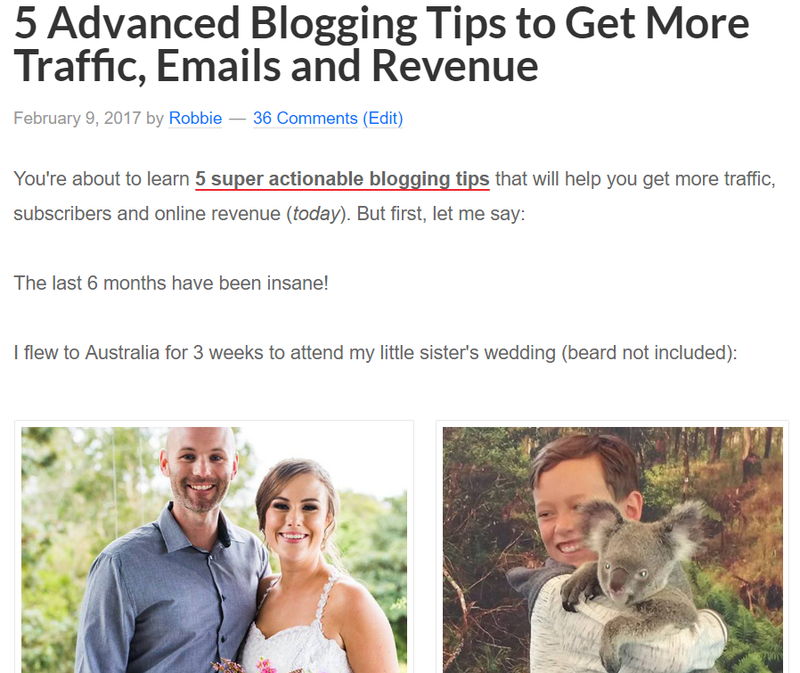 This is exactly what Robbie did to increase his traffic 272% in 30 days. You now have a great piece of content. The next step is to optimize on-page SEO. On-page factors are the elements of a webpage that influence search engine ranking. 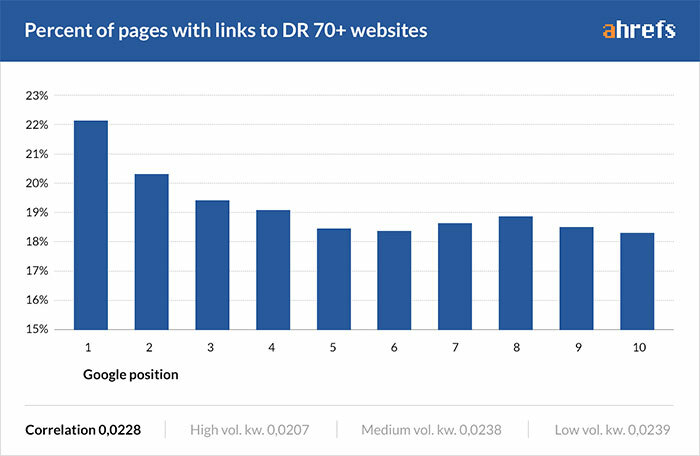 While on-page elements have a relatively small impact compared to link metrics, they still influence rankings and have a big impact on user experience. On-page SEO is quick to implement and within your direct control. Compared to off-page efforts such as link building which take months or years to execute and come with a lot of moving variables (eg: who will respond to your outreach email?). 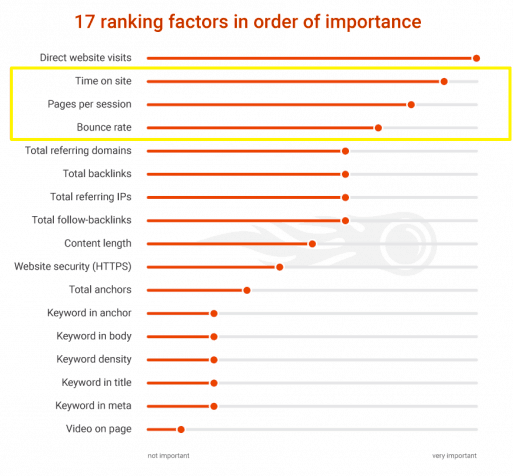 So, what are the most important on-page SEO ranking factors? So, you’ll want to focus most of your attention on the other elements listed in the graph. 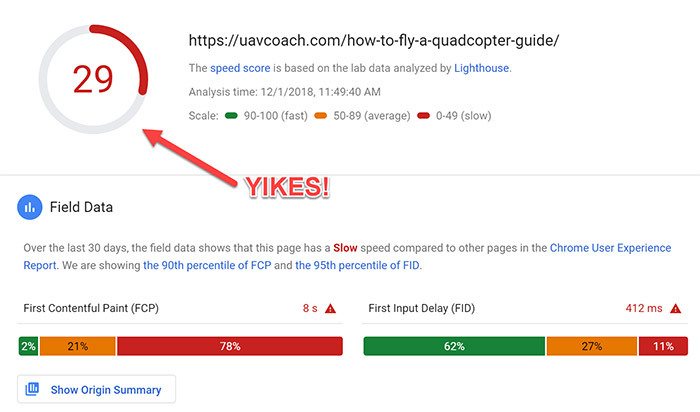 We’ll cover some of the core on-page optimizations in this case study, but if you want dive deeper, check out this in-depth on-page SEO checklist. I’ve also provided a template to help you troubleshoot and automate some of the most tedious on-page optimizations. Let’s start with the quickest optimizations: strategic placement of primary and secondary keywords. Title Tag: Your title tag is the most important on-page SEO factors when it comes to keyword placement. Try to get an exact or semantic keyword variant close to the front of the title tag. If you’re using WordPress, it’s easy to place your keyword in the SEO title, URL, and meta description. Open the page editor and scroll down to the “Yoast SEO” box. Adjust the SEO title/meta description and get a preview of what your SERP will look like. URL: Make sure you have a short, descriptive URL. Google has stated the first 3-5 words in the URL is weighted as a search ranking factor. If possible, include exact match keyword at the beginning of the URL. In addition to helping search engines understand your content, descriptive URLs will also increase the likelihood users click on your search result. At face value, you have no idea if the content has anything to do with what you’re looking for. 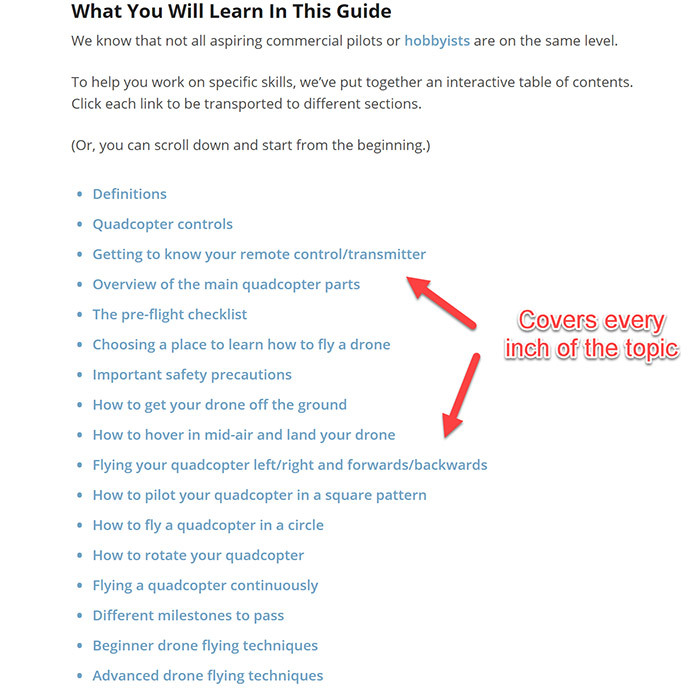 It’s a descriptive URL that tells you exactly what to expect on the page – a guide about how to fly quadcopters. 1) What if I’m trying to relaunch an existing asset and the URL does not contain the keyword? Keep the URL the same. In my experience, the risk outweighs the reward when it comes to changing URL paths for the sole purpose of keyword placement. 2) What if your current permalink structure doesn’t accommodate descriptive URLs like this? Don’t worry too much about this. Just keep the URL as short and descriptive as possible. Heading tags: Make sure your blog post title is wrapped in an H1 tag. Google views the H1 tag as your post headline, and helps bots quickly understand the topic of your post. Try to include sematnic and secondary keyword variations in H2 and H3 tags within the post. Google cannot read images, so include target keywords in image alt text so Google can understand what they are about. Note: Do NOT stuff keywords in alt text. Instead, write the alt text in a way that accurately describes what the image is about. Keep it natural. And finally, place keyword variations a few times throughout the body content. 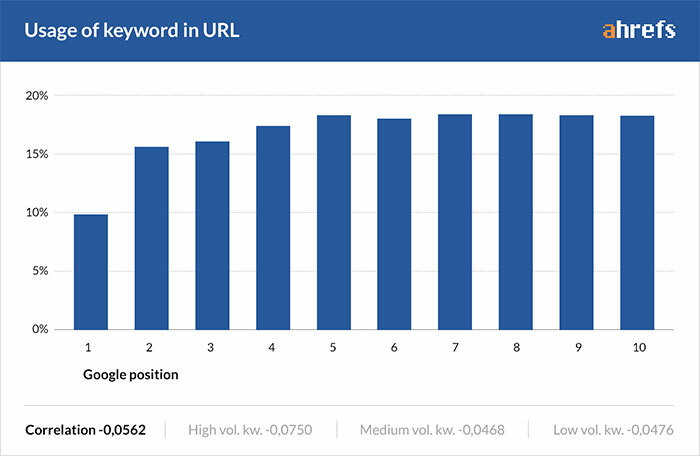 LSI keywords are synonyms Google uses to determine page relevancy (and sometimes quality). Including LSI can not only help boost relevancy, it can also help expand your keyword footprint and organic traffic potential. Note: this section of the post also includes variants such as clockwise, counter clockwise and rotate. Even if keyword research tools don’t show any search volume for the variations, you should still place them in the content for relevancy and to make sure you’re not over-optimizing exact match keywords. If you write long form content, chances are you’ll naturally include LSI keywords in your content. Next, make sure to include the related keywords you want to rank for. Text can only do so much. Engaging images, videos, screenshots and other multi media can increase time on site, scroll depth and decrease bounce rate: three behavioral metrics Google uses to measure content quality. Multi media will also increase the perceived value of your content: which means more people sharing or linking to your content. 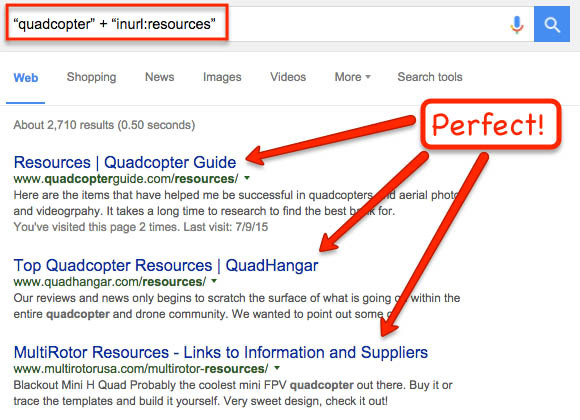 Not linking out to (quality) external resources is a common on-page mistake. Many people fear doing this to avoid “leaking authority”, when in fact linking out to related content is a relevancy signal Google. It can signal to Google that your content is a hub of quality information related to a given topic. Note: adding links to quality external resources of specific topics in your article is also a great way to improve the user experience. 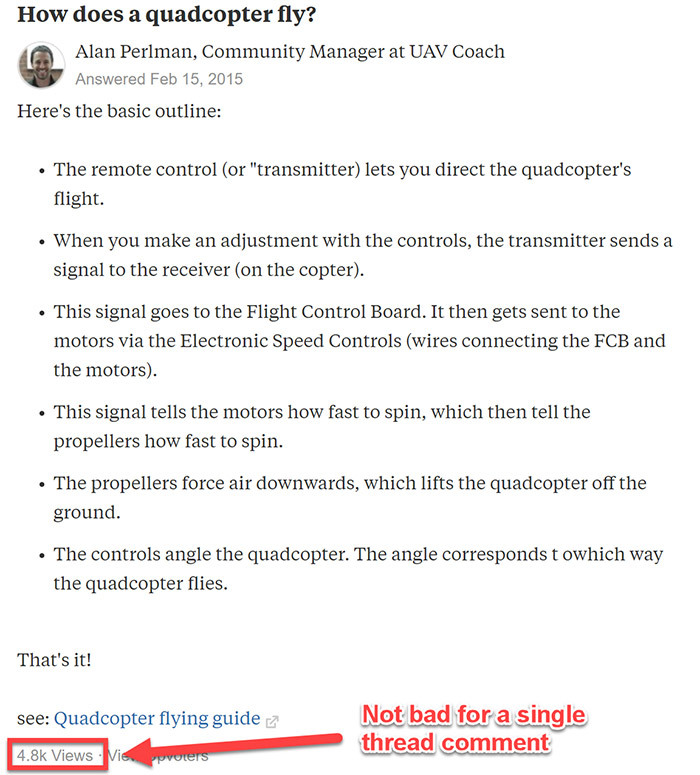 When optimizing the quadcopter guide, I noticed many of the top ranking competitors weren’t linking out to any other resources. Go through your content and find a few places to link out to the most relevant articles ranking for your keyword. Note: Reach out to each of the sites referenced in your article. Since you gave them a link, they will likely reciprocate by at least sharing your article with their audience. This report will show the individual pages on your site that have received the most traffic over a specific time period. Add an internal link towards the top of the asset to drive some of that traffic to your new piece of content. Sort the Referring Domains (RDs) column in descending order to find the most authoritative pages on your site. Scan the list and look for related content where it would make sense to add an internal link. This is a quick way to give page-level authority a quick boost. Ever clicked on a search result and the page takes an eternity to load? It’s one of the fastest ways to get potential readers to hit the back button and return to the SERP to read a different result. In fact, Google found that 53% of users will abandon a page if it takes more than 3 seconds to load. Google monitors this behavior and has been using it as a ranking factor since 2010. 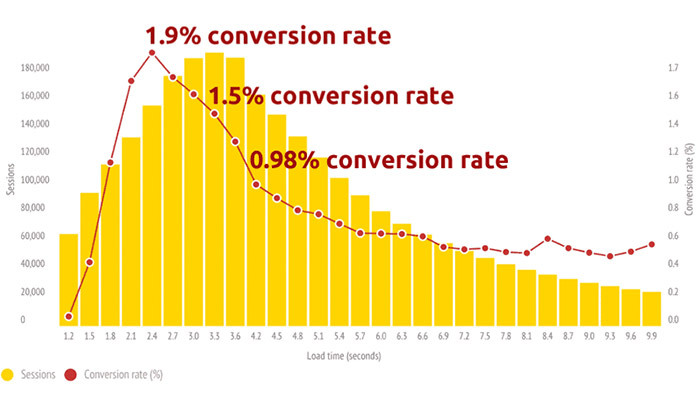 User experience and rankings aside, slow page speed is a HUGE conversion killer. 1. Compress images: use a plugin such as WPSmush or Shortpixel to automatically compress images and reduce file size without losing quality. 3. Enable caching: use a free plugin like W3 Total Cache to create a static version of your content that the web browser can load fast. Check out this guide for setup instructions. Which piece of content would you rather read? The first example breaks up the text with formatting best practices such as shorter sentences, lists, and different font sizes to create a more “scannable” piece of content. Once the on-page SEO is fully optimized, it’s time to shift your attention towards converting all the new organic traffic into email subscribers (leads). Building an email list should be your #1 priority. Because 98% of visitors will leave your site without converting. And the average consumer will have 7 touch points with your brand or product before buying. Building an email list is critical if you want to be able to continually re-engage your audience, establish a relationship and eventually convert them into paying customers. A lead magnet is when you offer something of value to a reader in exchange for their email address. Nothing fancy, but as you’ll see below, it worked VERY well! This step involves strategically placing opt-in forms at high-visibility touchpoints across your site. Thrive Leads: My list building tool of choice. I’ve used the WordPress plugin to collect thousands of email subscribers over the last 3 years. Check out my full review here. Sumo: Another great list building tool. I use the free version to capture my first 4,635 email subscribers. ConvertKit: This is the tool I use to manage all the email marketing sequences and automtions for my business. Full disclosure: I am an affiliate for each of the tools mentioned above. I only promote products I personally use to run my businesses. If you purchase a subscription through one of my links I will receive a commission at no additional cost to you. This is one of the ways I fund running this blog. As you can see, our value proposition is joining the community and receiving a free PDF of the guide. We then used the Sumo﻿ Leads app to create a leadbox that delivers the PDF inside the content. Someone entered their email address to access your lead magnet. They aren’t on your email list yet. Luckily, you can automate this entire process. Confirmation email sent via ConvertKit after someone joins The SEO Playbook waitlist. This will ensure they are double opted in. Landing page built with the Thrive Content Builder WordPress plugin. Depending on the level of competition, it can take months to hit the first page. In the early stages, it’s important to spend time promoting your content in order to generate some initial traffic, engagement and (potentially) links. Quora is a massive Q&A website, and one of the most visited on the planet. Quora threads can stay active for months or even years, driving a passive stream of organic traffic to your content. 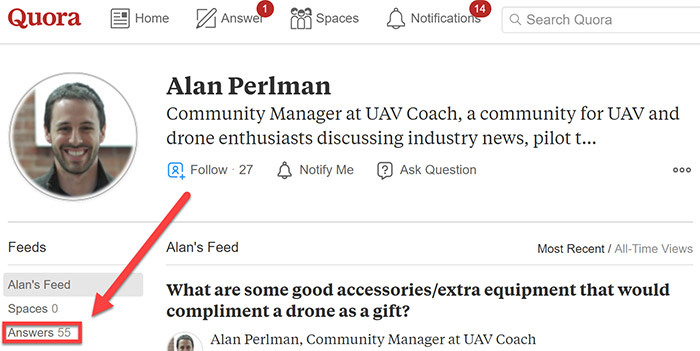 Click through to any threads where your content could help answer a question. Write up an in-depth answer with a link to your content at the end. Frame it as a resource that can fully answer their question. In-depth answers are trusted more and typically work better than only posting your link. Keep joining discussions and answering questions for different search terms, and you’ll drive consistent traffic to your article! The first week after publishing, we spent 1-2 hours a day promoting the guide in relevant Quora threads. And, we continue to look for new threads to promote it each week. You can piggyback off the rankings and drive loads of targeted referral traffic back to your site. 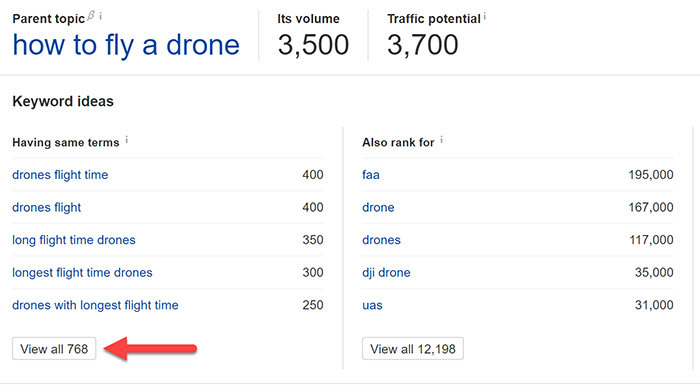 You’ll see that Quora ranks for over 29M different keywords! Most of these keywords are either irrelevant or don’t rank in the top 5 positions. Start with the most relevant and high traffic threads, and work your way down the list. Just like Quora, forums are packed with people discussing different topics. They’re perfect places to promote your content. Higher engagement = great traffic potential. Write a compelling description about your page that entices the click. Next, go through the forum threads and answer related questions (similar to Quora). As you become an active member, you’ll start to position yourself as an authority. 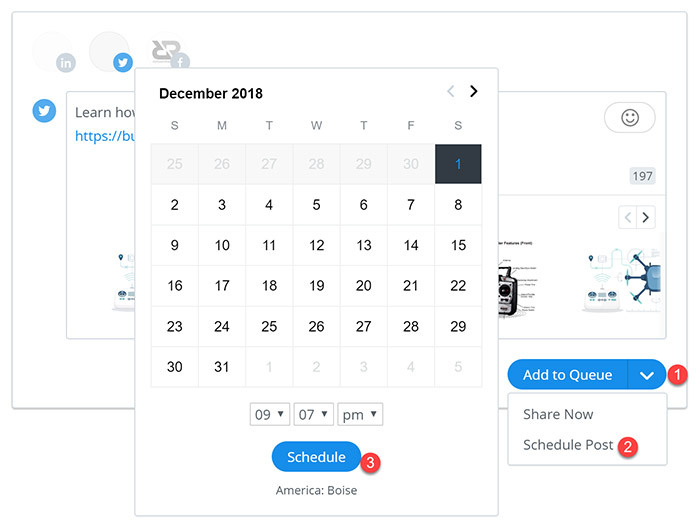 We configured Buffer to share the guide twice in the first week on each of our main social media channels – facebook and Twitter – and once a week for a month afterwards. Create another post, change up the text, and schedule it again for some time that week. Rinse and repeat once a week for a month afterwards. This should help you get a steady stream of traffic and social signals to the page. Note: if you have a long form guide with multiple sections, chapters or tips, promote each one as a standalone social media post to get more mileage out of your content. Each tip is shared as a separate post, but still directs users to the same post. This helps avoid message fatigue. 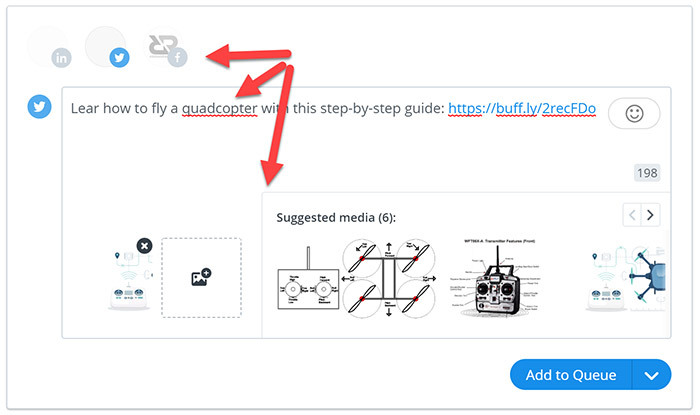 We used this same strategy with the quadcopter guide by promoting each of the 17 chapters as a separate social post. Scoop.it is a content curation platform. People create their own pages to gather the best content they find on a given topic/industry. You can suggest a piece of content to the owner, and if they like it they’ll share it on their page. These pages are visited regularly by hundreds of industry enthusiasts wanting to stay up-to-date with the latest information (and share it with the platform’s built-in social media integration). This will bring up a list of pages related to your primary topic/keyword. Hover over the results to see the number of views. If it’s not there, the host has decided not to accept suggestions. Move on to another page. That’s it! The page owner will review your post and decide whether or not to feature it. Rinse ad repeat until you reach the daily suggestion limit (7). Scoop.it is a quick and easy way to build links and get initial exposure for your content. 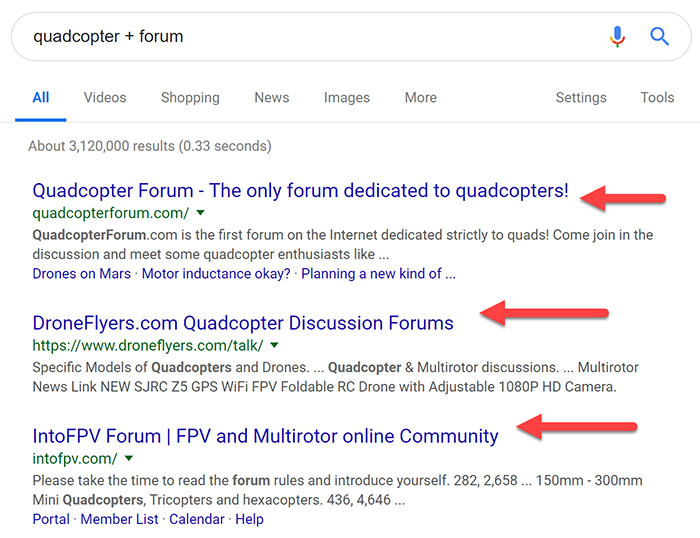 The final part of this case study is going to break down how we built backlinks to the quadcopter guide, which helped push it to the top spot in Google. Google has also confirmed this. We knew that if we wanted to reach the #1 position we had to build quality backlinks to the guide. Ahrefs SERP overview report showing link metrics for the top 10 ranking articles. We’ve built almost links from almost 100 unique referring domains and established a 34 URL rating. 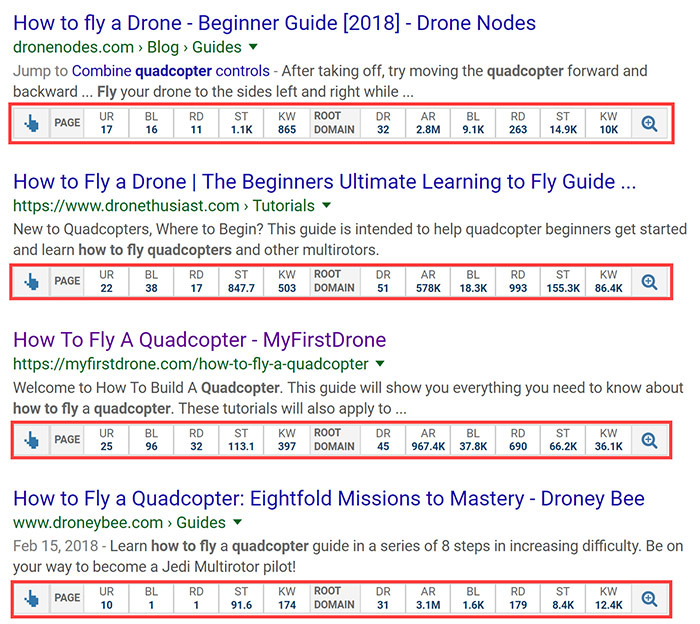 Both of these metrics are higher than any other result in the SERP, and is the main reason why the guide ranks in the top spot. We set out to find all the sites linking to competing (inferior) content and pitch our content to them. The idea here was that if a site had linked to a related piece of content in the past, they would be more likely to our content as well. Note: We followed many of the steps listed in Robbie’s extensive competitor backlink analysis guide. Instead of repeating all of it here, I recommend you check it out for more in-depth instructions. 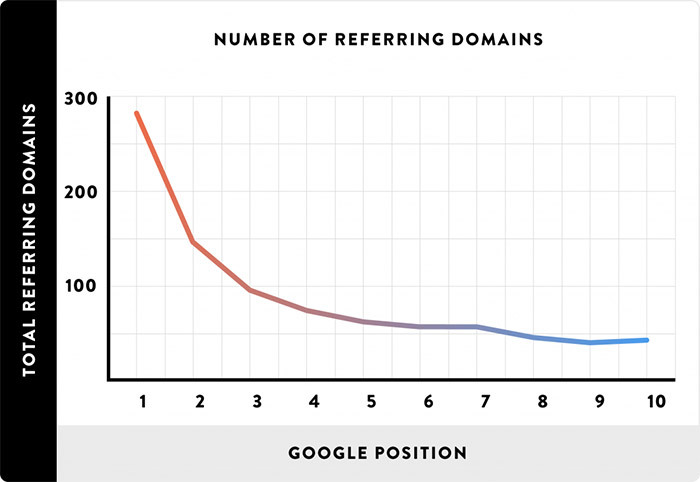 Look for results with a minimum of 20 referring domains. This will give you a solid list of outreach targets. Repeat the process for all the results with a minimum of 20 referring domains and add all the backlinks to a master list. Editor’s note: Scale this strategy by mining the SERP results for secondary keyword variations. This shows the keyword bringing the most traffic to a URL. Often, there are many different secondary keyword variations in here that will return new competitor link targets. Repeat the process outlined above and add to the master backlinks list. Note: while these articles might be targeting a different topic, I still consider them good secondary link targets. I.e. 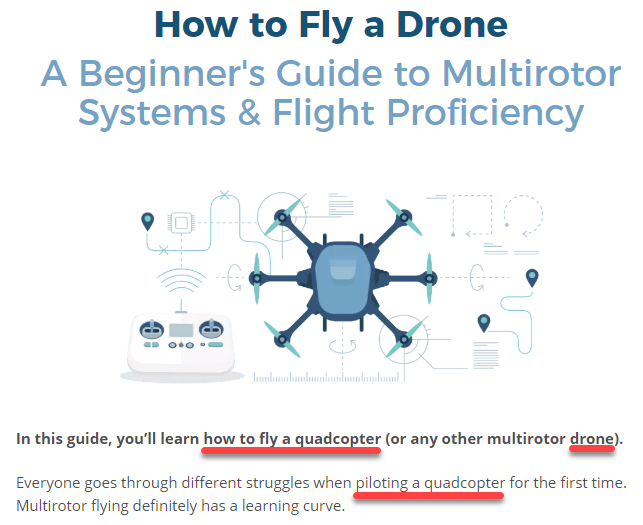 anyone linking to an article on “how high can you fly a drone” could also be interested in reading (and possibly linking to) a comprehensive guide to flying quadcopters. Use the two tactics shown above to build out a list of 20+ articles to mine for link prospects. 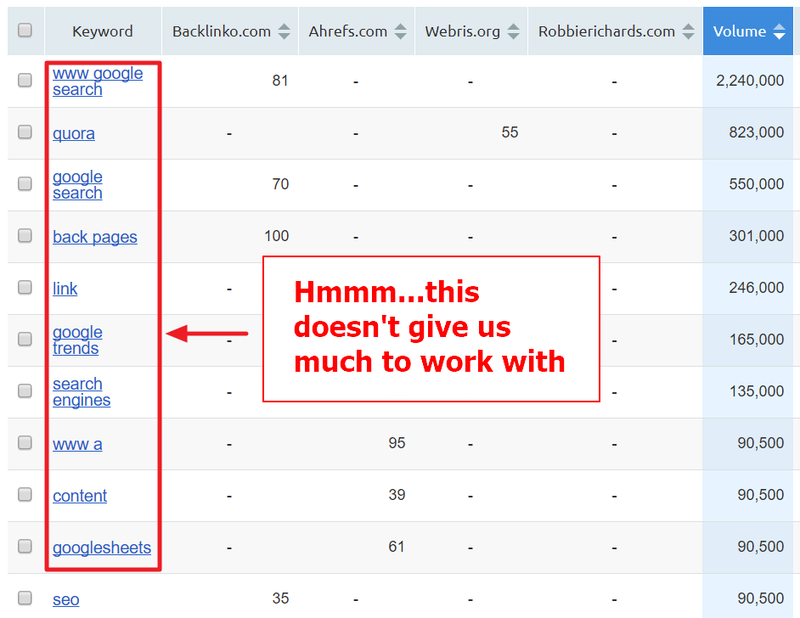 We used the Ahrefs Link Intersect tool to find all these websites linking to one or more of our competitors. If a website linked to multiple competitors, there’s a good chance they would consider linking to us too. Grab up to 10 competing domains/URLs from the Prospects tab in the Tracking Template (shown above) and paste them into the Link Intersect tool. 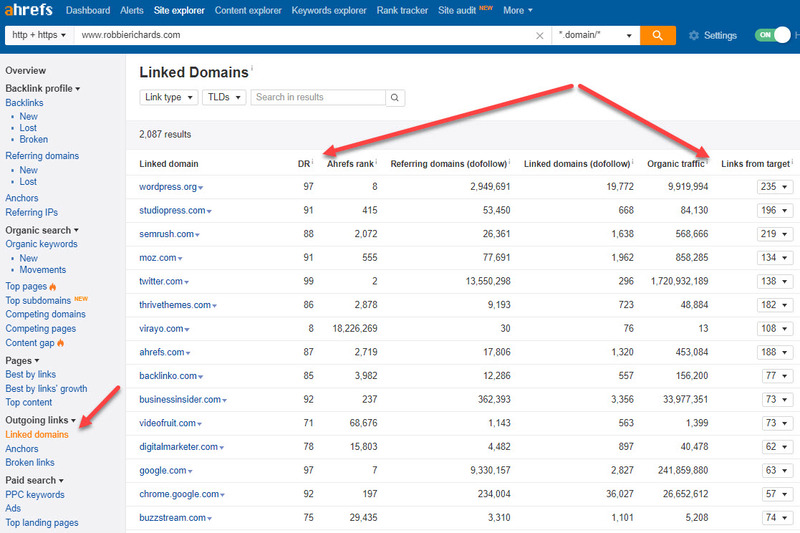 Find competitor backlink gaps with the Ahrefs Link Intersect tool. 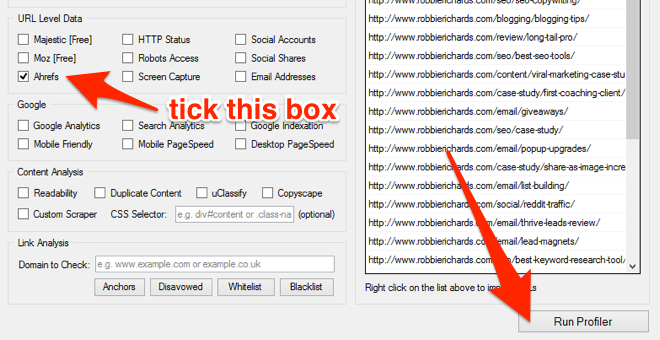 Note: Select the “Any of the below targets” from the “Show me who is linking to…” drop-down at the top of the table. The report will show you all the websites linking to one or more of your competitors, but not your domain/page. Model the scripts in your outreach campaign. Weekly roundups are articles that curate the best content of that week into a single post. The publisher spends the week reading and looking for awesome articles to link to in the post. All you have to do is find blogs that publish weekly (or monthly) roundups and pitch your content to them. Once you’ve found some roundups, head over to the site and find the publisher’s contact information. My name is [YOUR NAME], and I’m on the team at [WEBSITE]. I’m writing to make a possible article suggestion for your next weekly [TOPIC] roundup. I came across your roundup yesterday and got a ton of value out of it. Nice work! We recently published an in-depth guide to [TOPIC]. It takes people through 18 chapters of step-by-step training, in the hopes that by the time they apply each step, they’ll be well on their way to [RESULT]. Either way, just thought you might like to consider it for your next roundup. This got us some great contextual links on high authority sites. This is the strategy where we got most of our initial links. Resources and links pages are similar to roundups, in that they link out to lots of useful content. Many sites publish them to expose their audience to related content they don’t offer on their own website. Alll you need to do is reach out and pitch it your content. 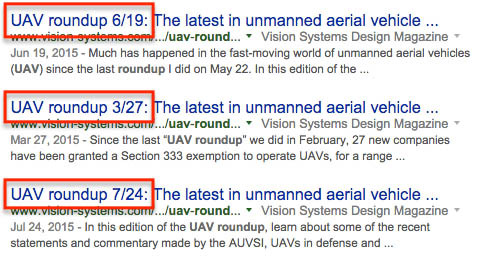 Unlike weekly roundups, you don’t need to filter the results based on date. Since these pages are evergreen, it doesn’t matter when they were published. I was checking out [SITE NAME] just now and found your excellent [TOPIC] resources page. I’m on the team at [SITE NAME], and we just published an in-depth guide that helps people [BENEFIT]. We’ll be improving it continuously to provide people with the most up-to-date information as the industry evolves. This strategy landed us a lot of excellent links on highly relevant sites in our niche. 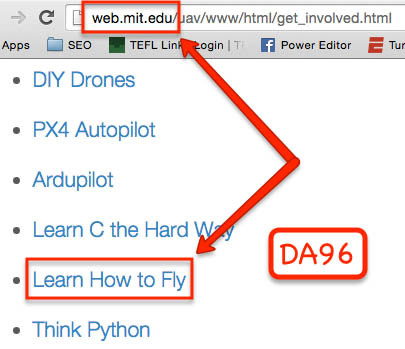 And on some high authority sites, including a DA 96 link from MIT! With our strong on-page signals and these links coming straight to the page, Google propelled us to the first page for our target keyword. We stayed in positions 4-10 for a few months, but I’m sure you’re wondering how that we hit position #1. 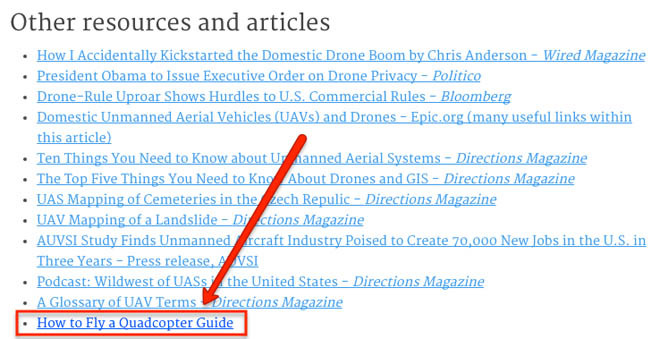 The quadcopter guide eventually leapfrogged massive sites like Mashable and landed in the #1 position. 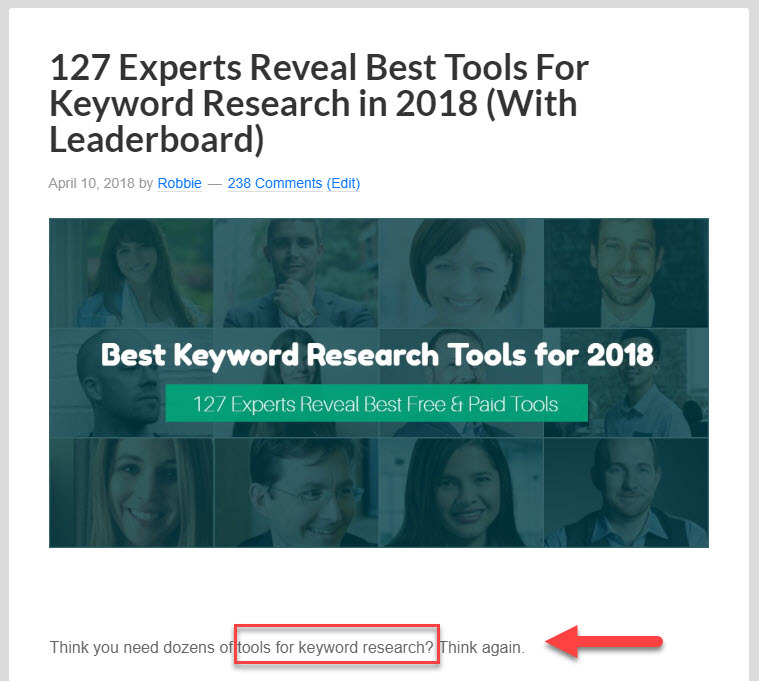 The initial content promotion and link building campaigns pushed the article onto the first page for its primary keyword, along with hundreds of additional long tail keywords. The strong on-page signals crushed all the other competing assets too. This article deserved to rank #1. It was the most in-depth and up-to-date, had the best multi media mix (screenshots, images and videos), and it was highly optimized for the target keyword. As time went on and the backlinks were crawled by Google, the page began to increase in authority and gradually climbed up the SERPs. Organic Keywords report in Ahrefs. This shows just how much Google trusts the page, sees it as a top resource, and wants people to read it. This is a scalable SEO strategy you can use to rank in ANY niche. And the site now ranks in the top 3 positions for over 3,000 keywords! You probably won’t rank #1 for every article you publish. But, by following the steps outlined in this SEO case study you’ll be able to quickly find (and rank) more target keywords on the first page of Google. If you’re interesting in learning the exact systems I use to rank clients and grow organic traffic in some of the most competitive industries on the planet, check out my training course here. Or, if you’re interested in working together contact me here. The post SEO Case Study: 6-Step Process That Generated 150,732 Visits appeared first on Robbie Richards.